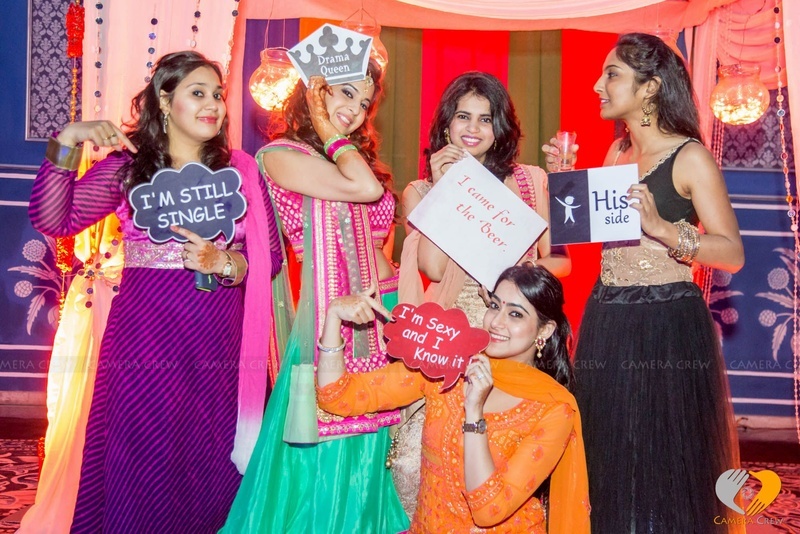 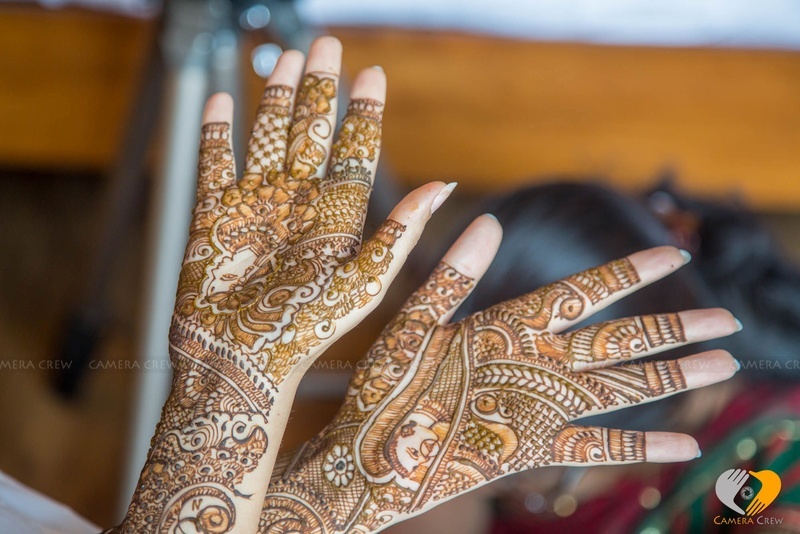 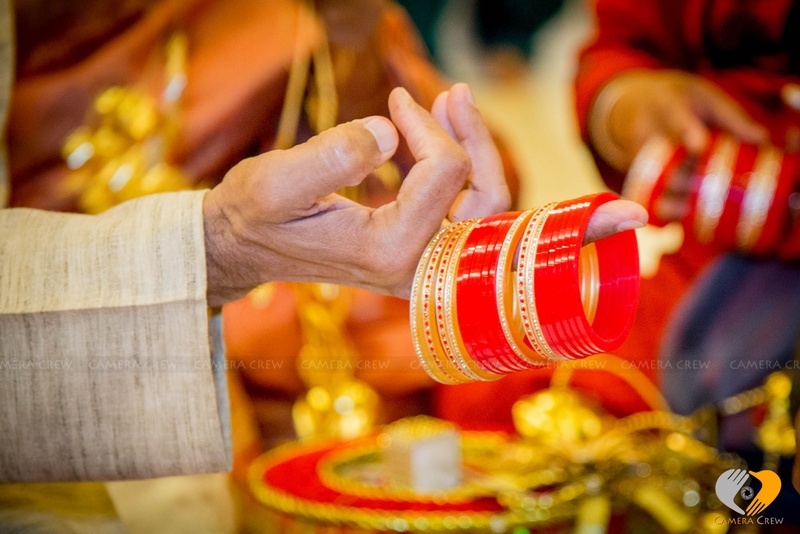 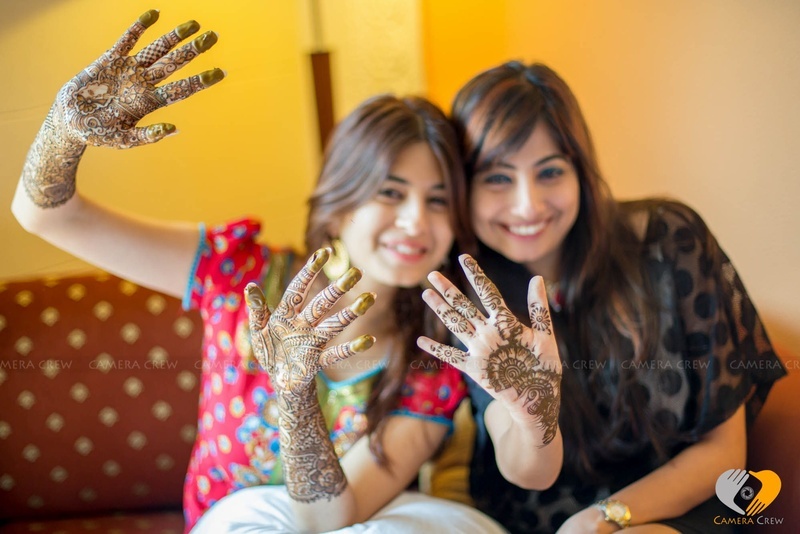 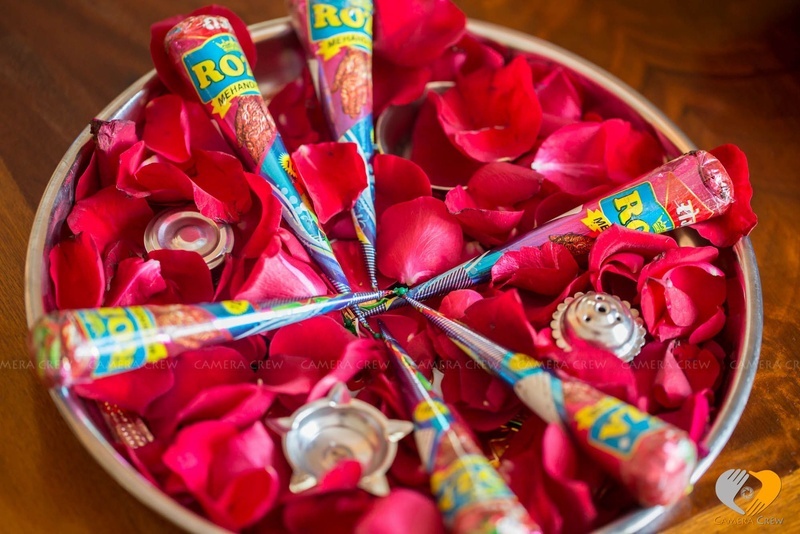 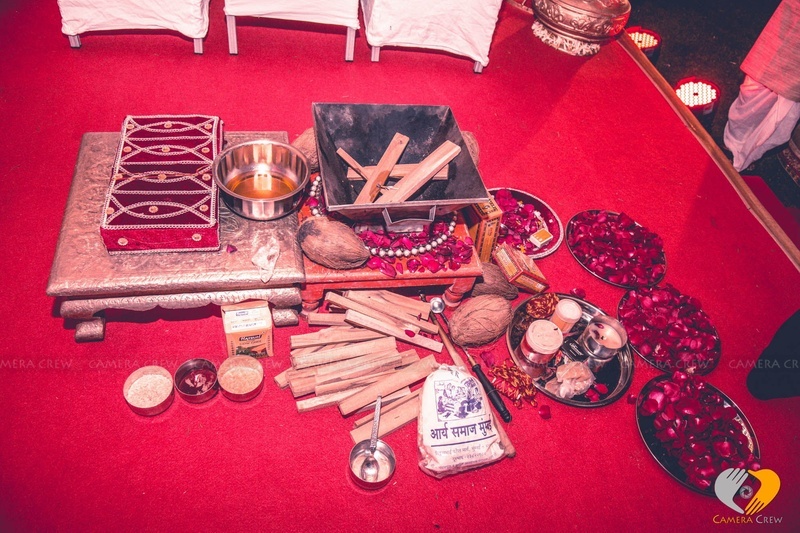 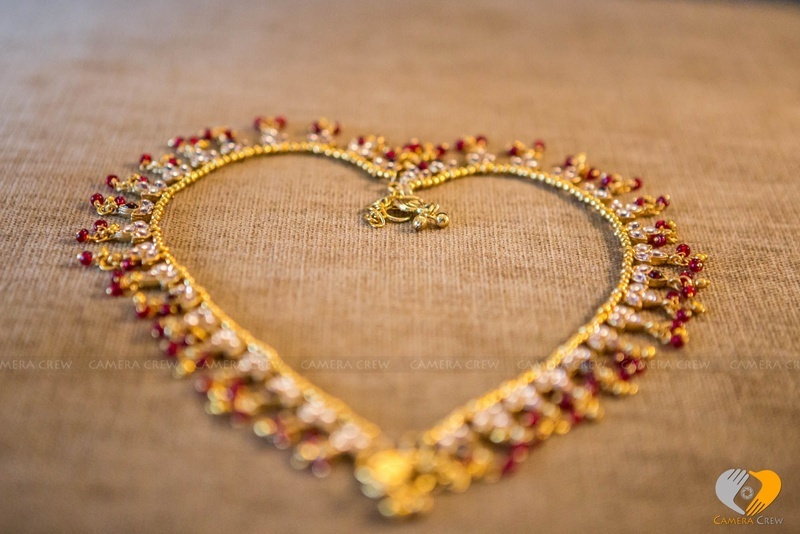 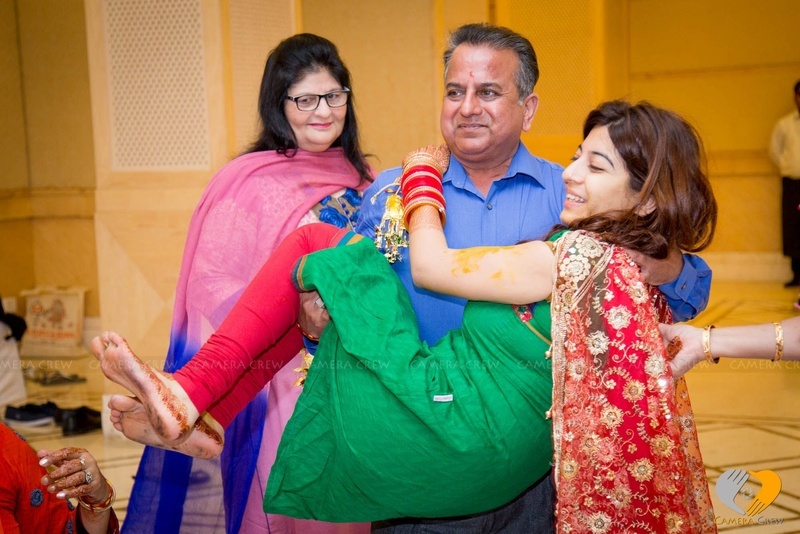 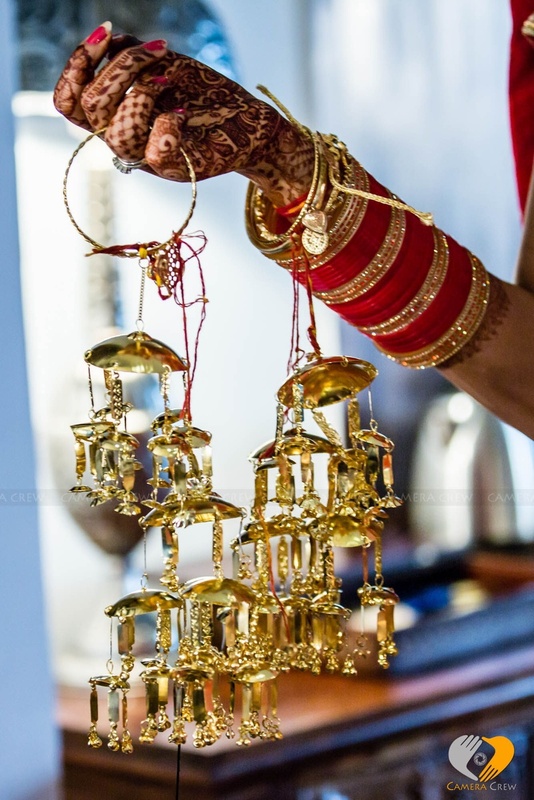 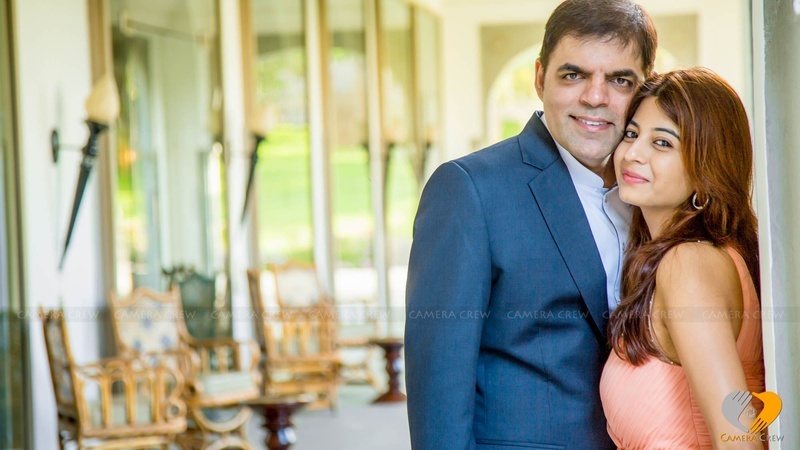 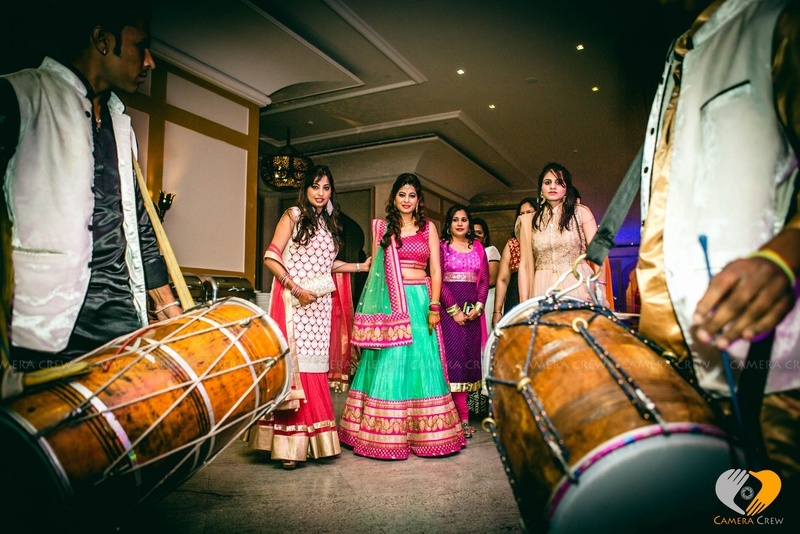 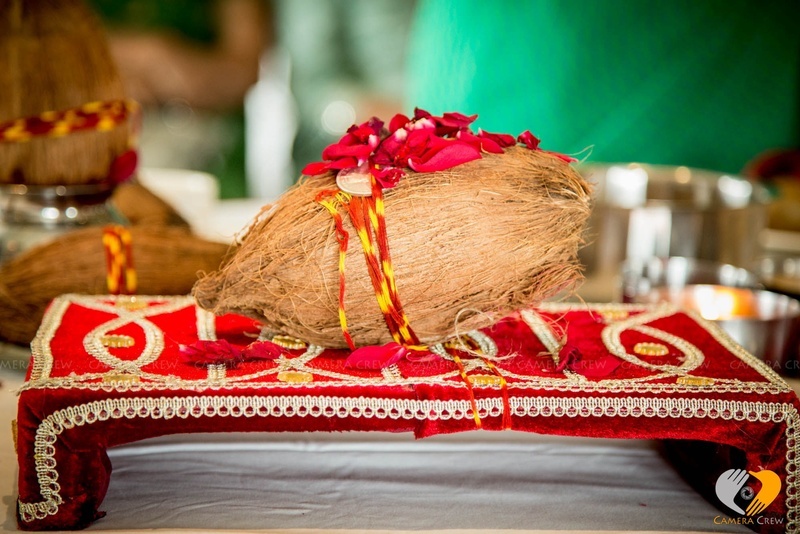 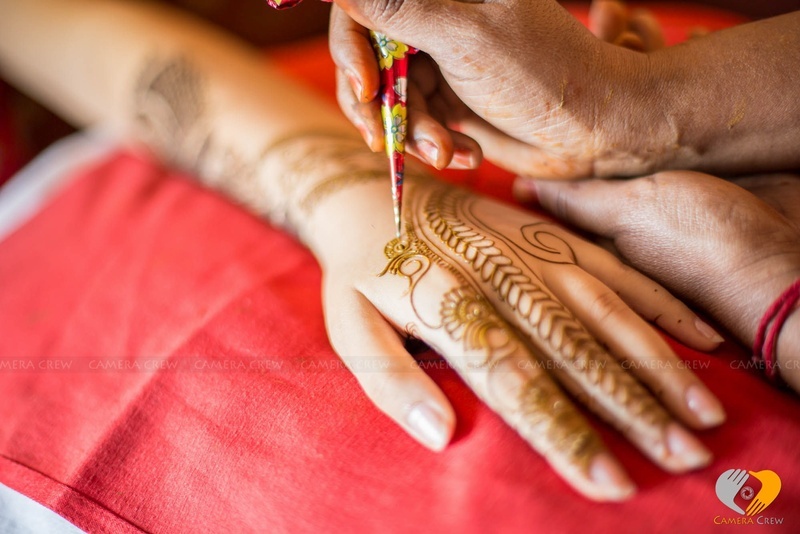 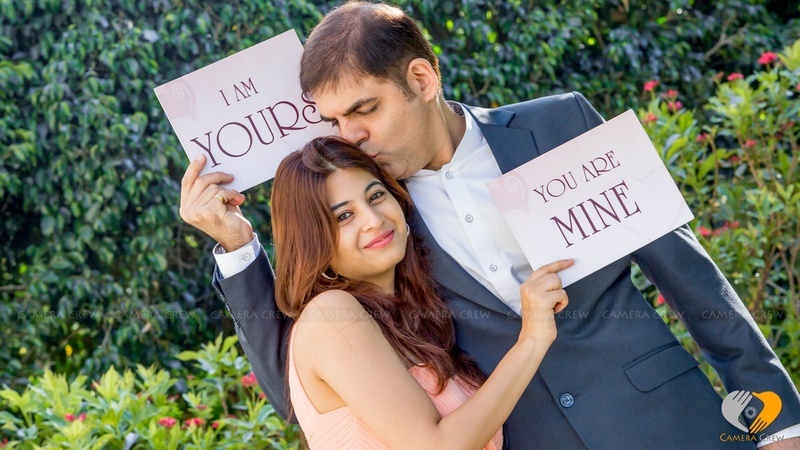 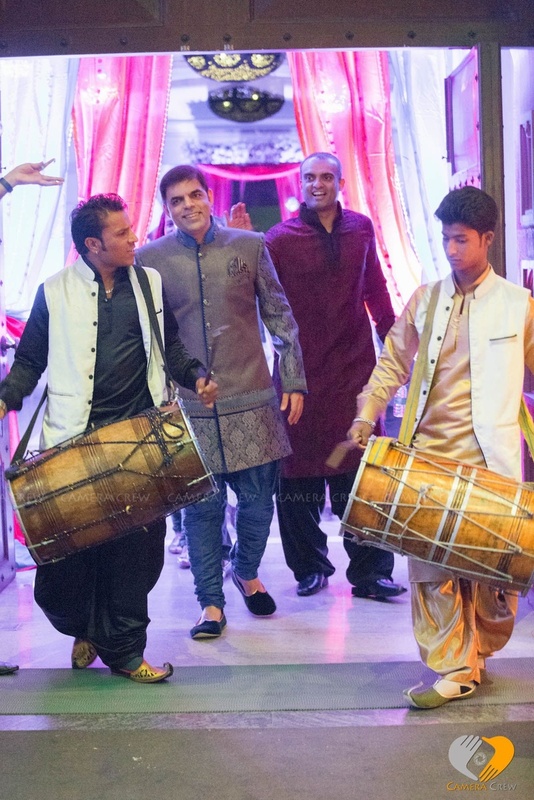 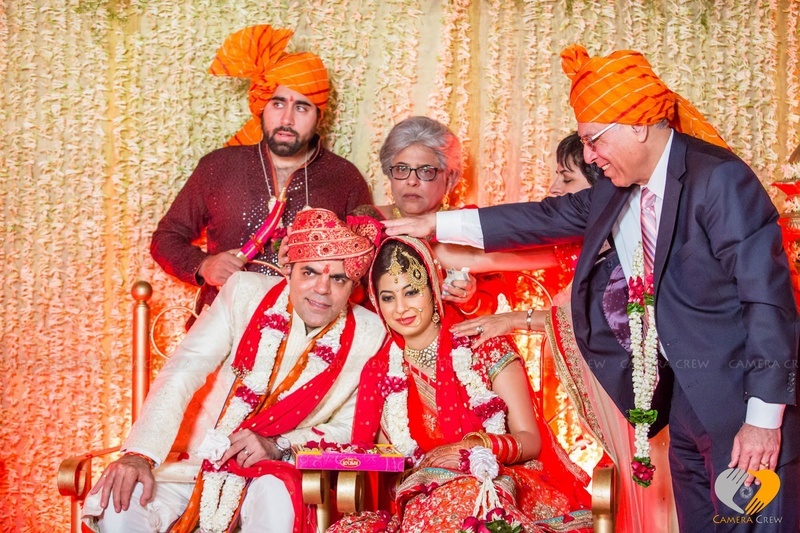 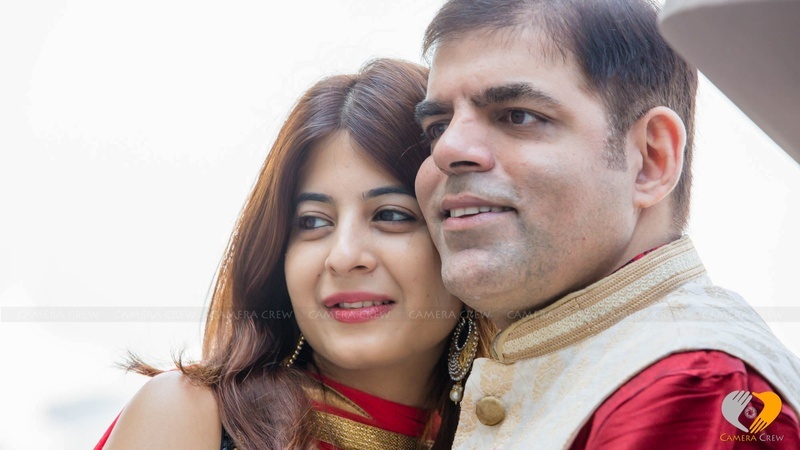 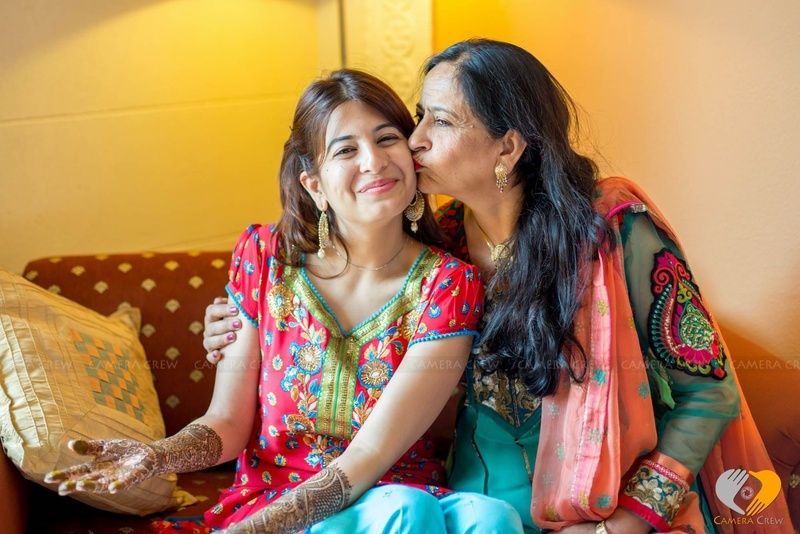 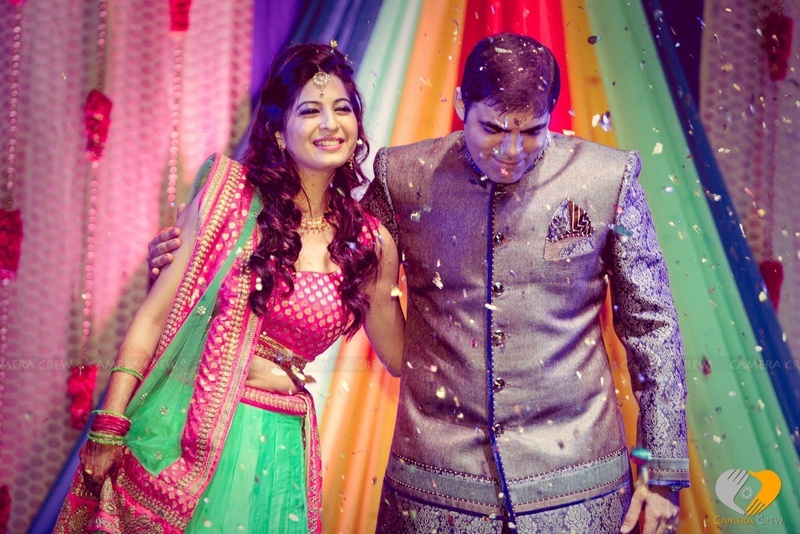 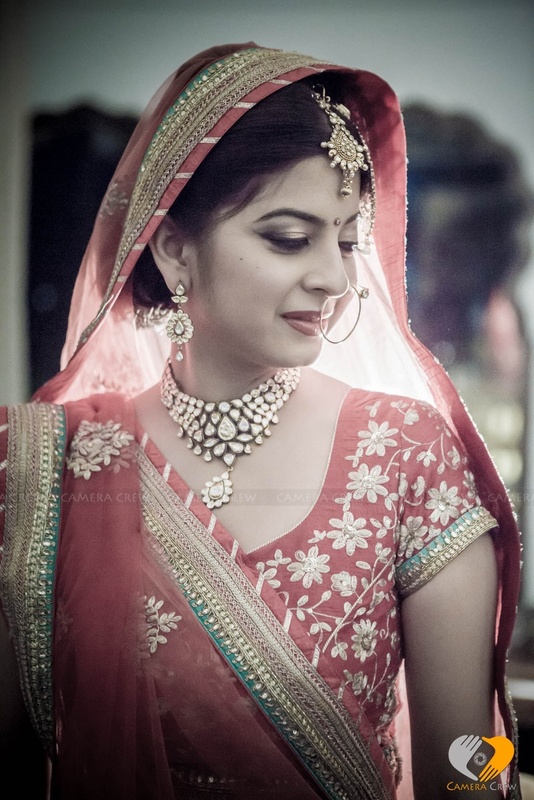 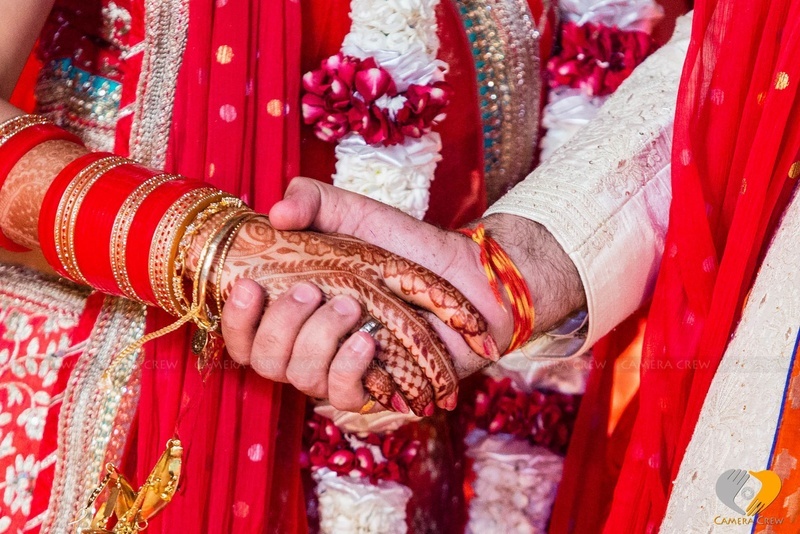 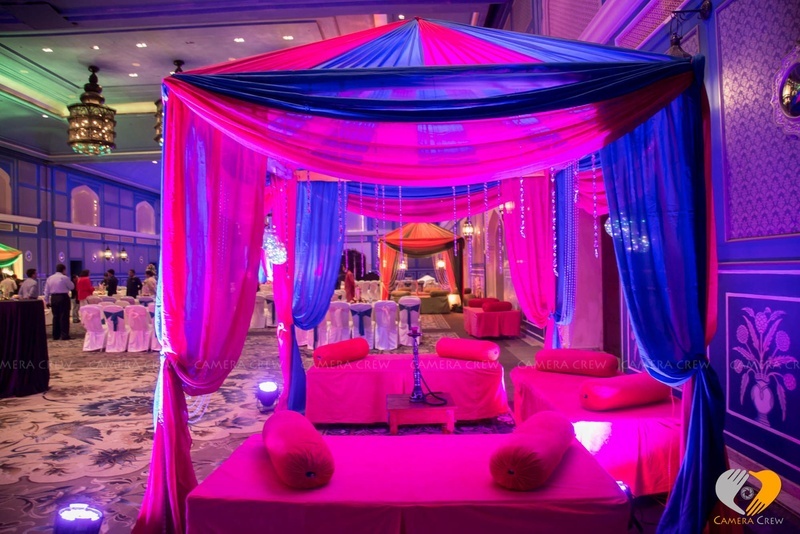 Gone are the days where moderation was espoused, expected and celebrated, because today Indian wedding celebrations have become so much more than that. 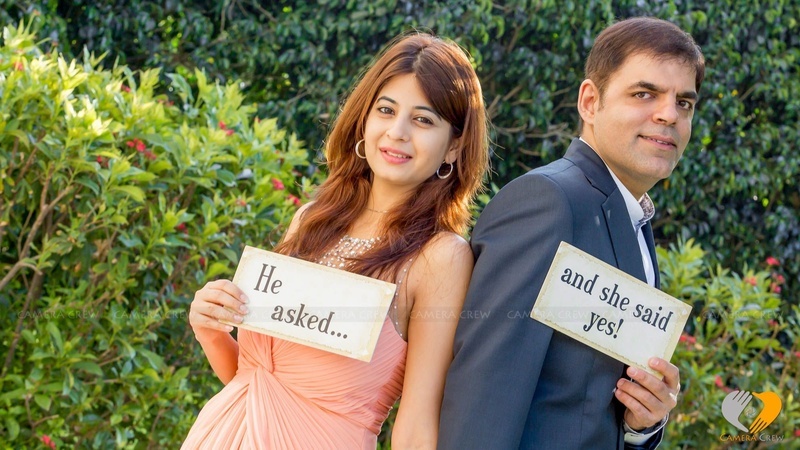 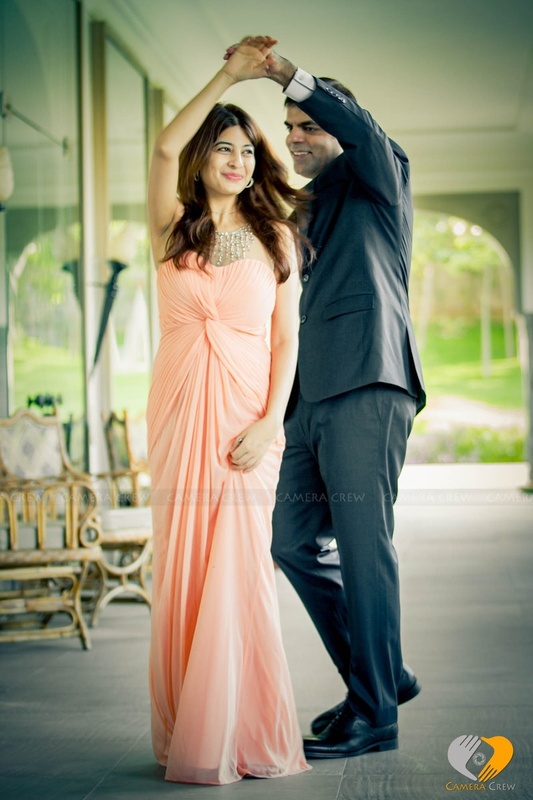 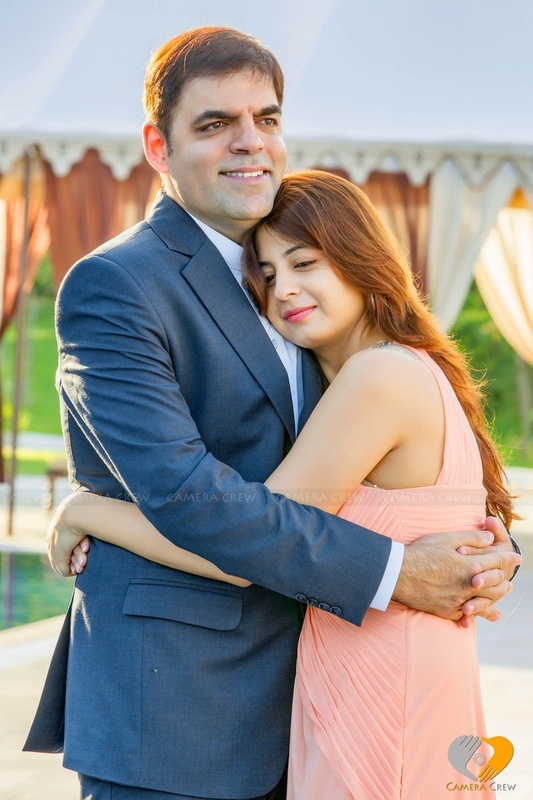 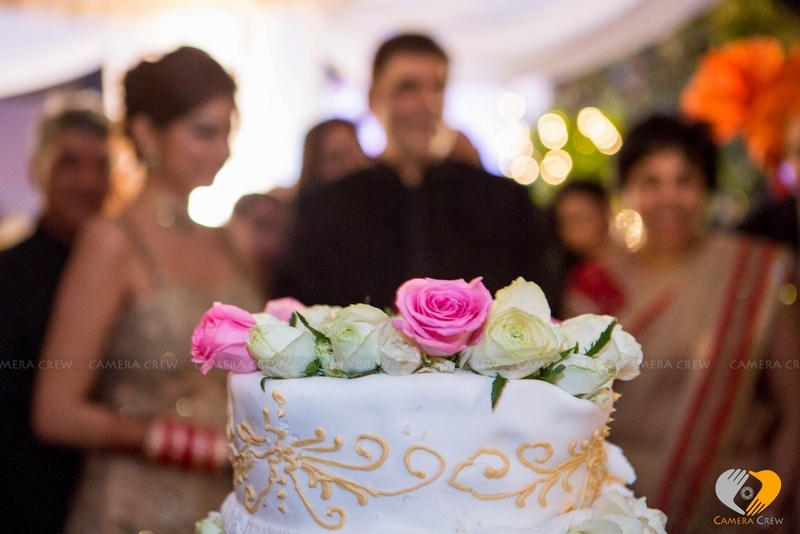 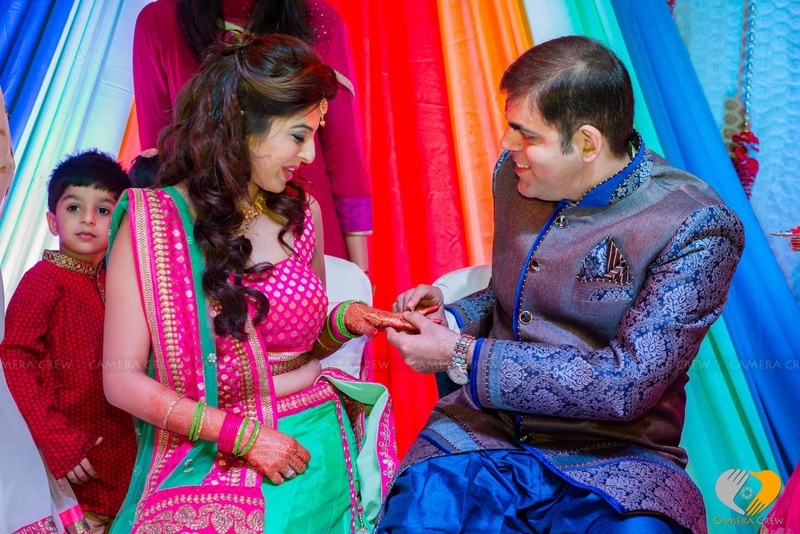 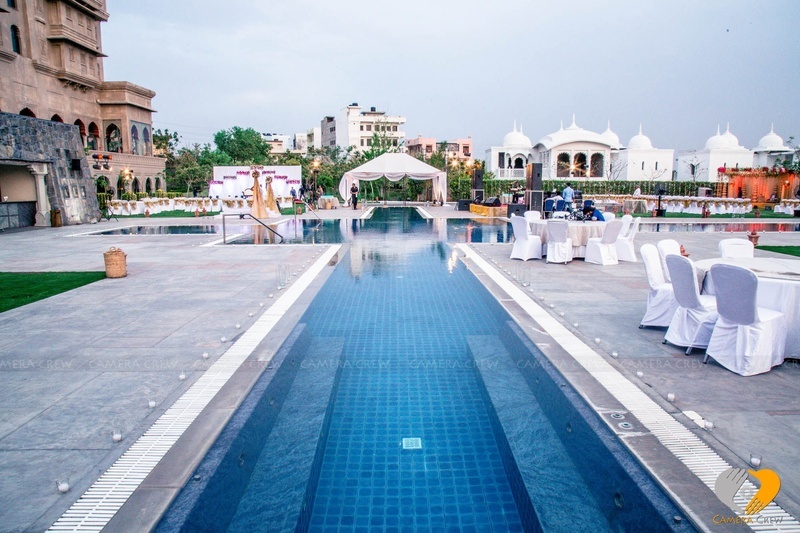 Nikhil and Deeksha’s union with its extravagant location, opulent venues and lavish celebrations opens the door to a whole new world of contemporary marriages. 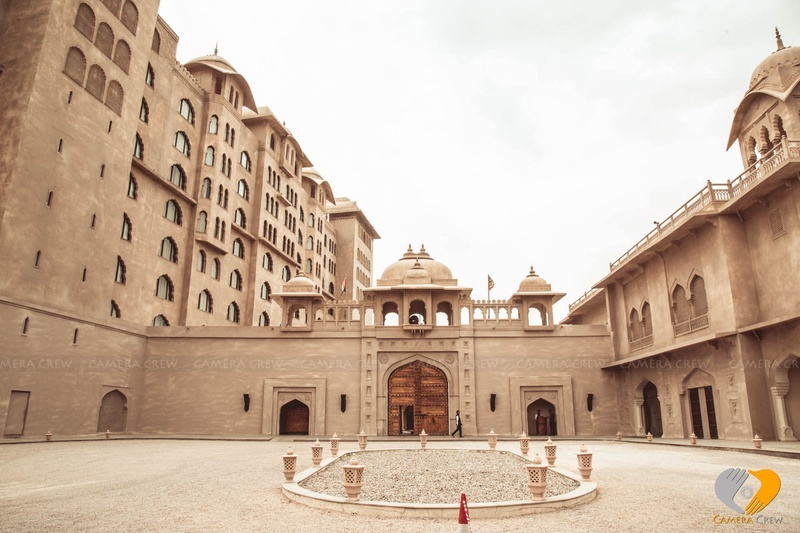 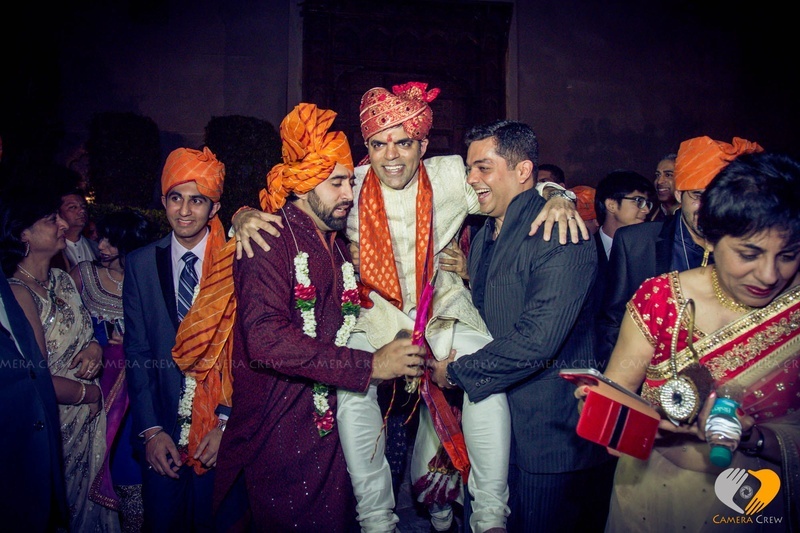 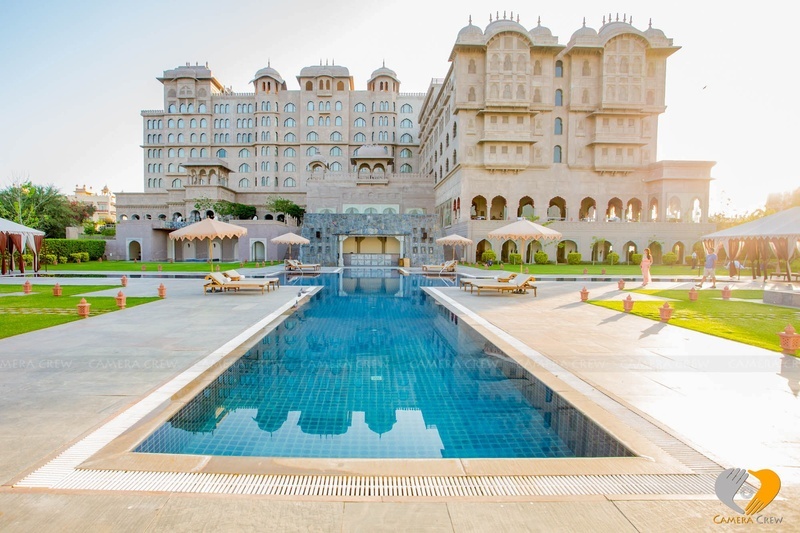 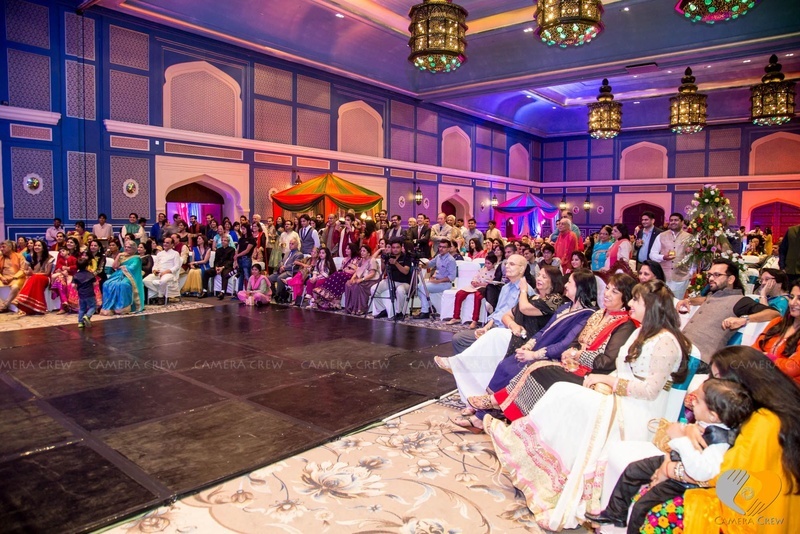 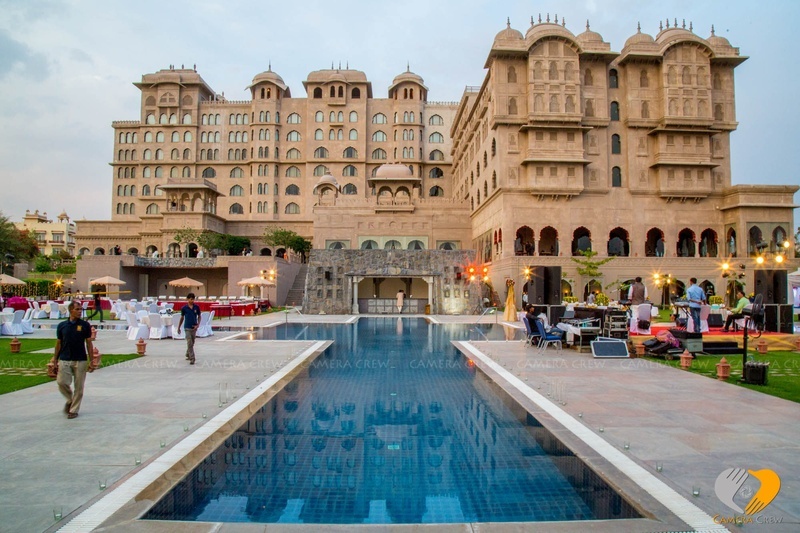 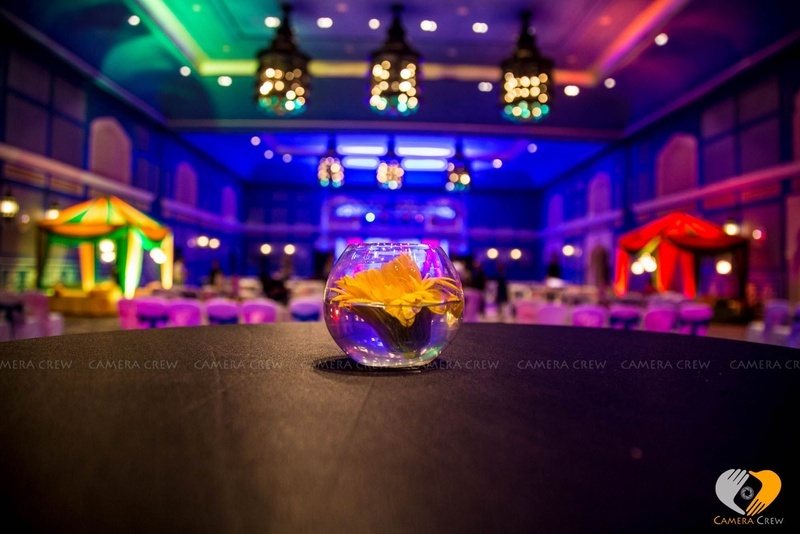 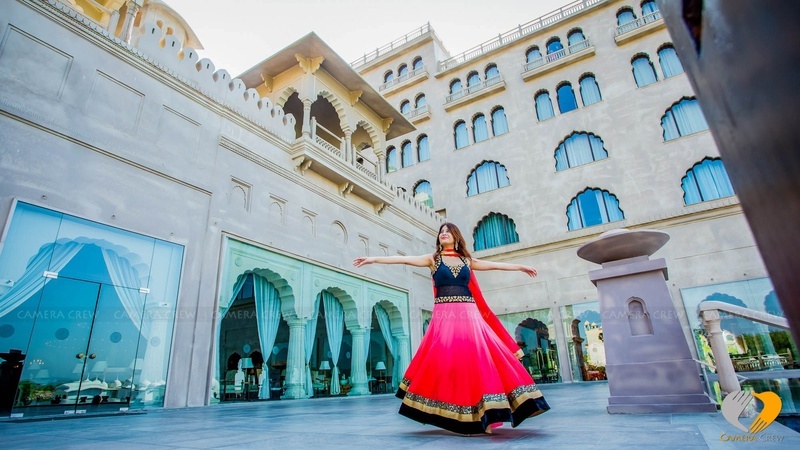 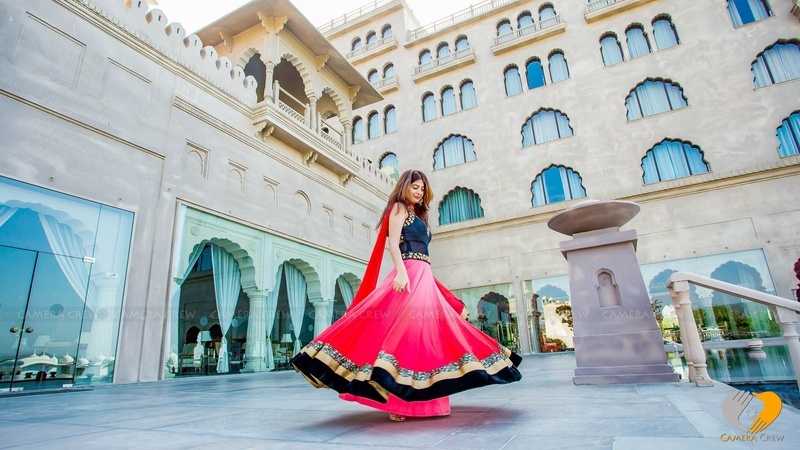 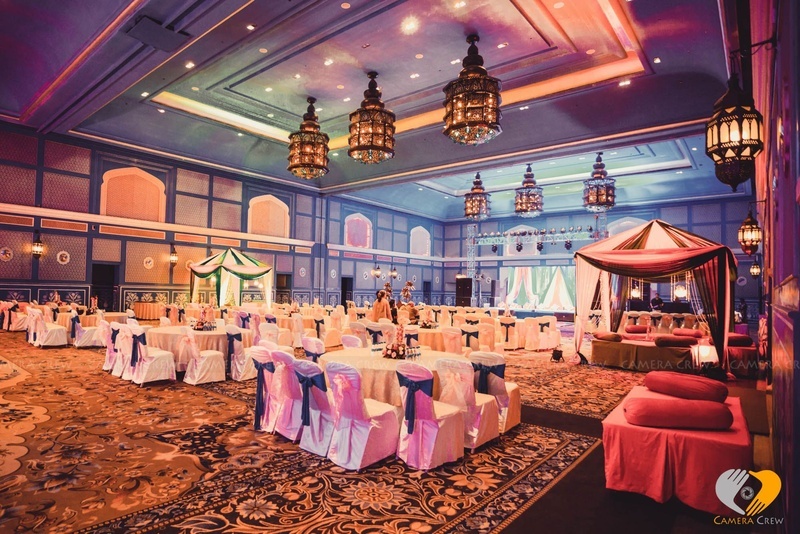 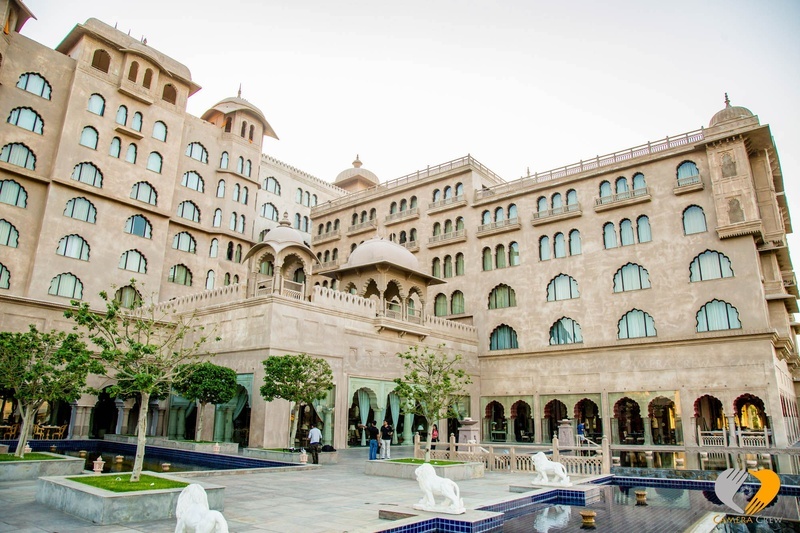 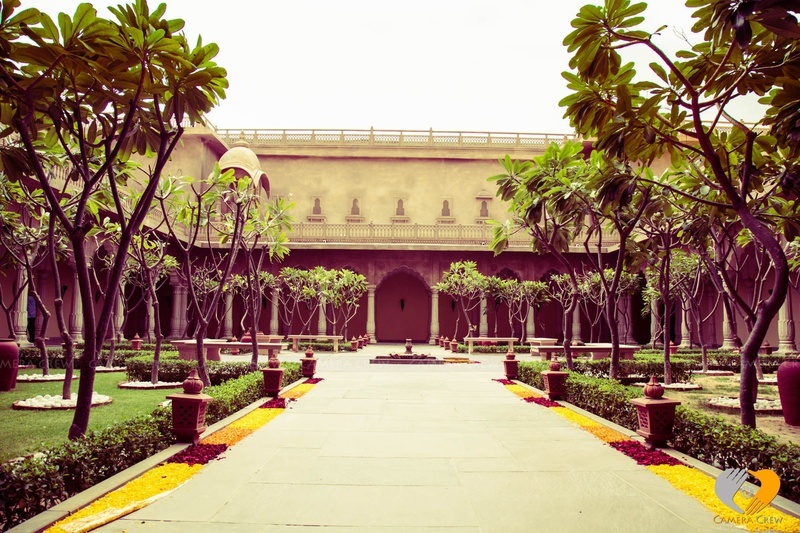 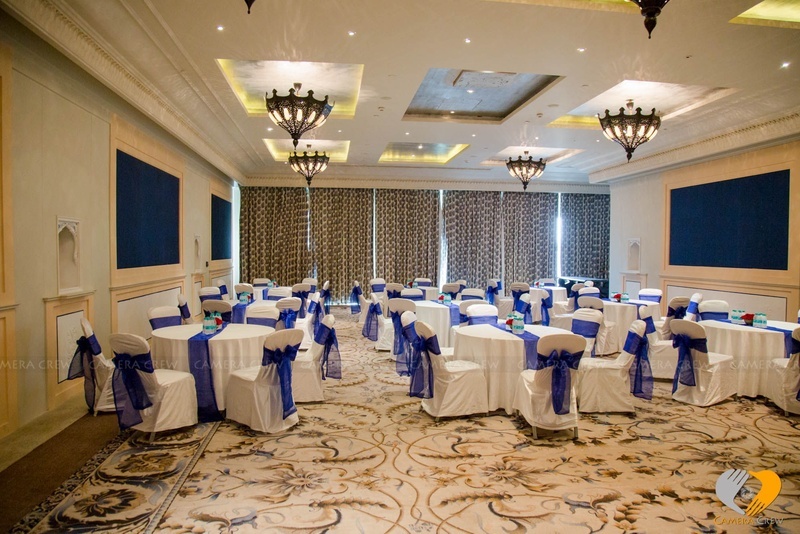 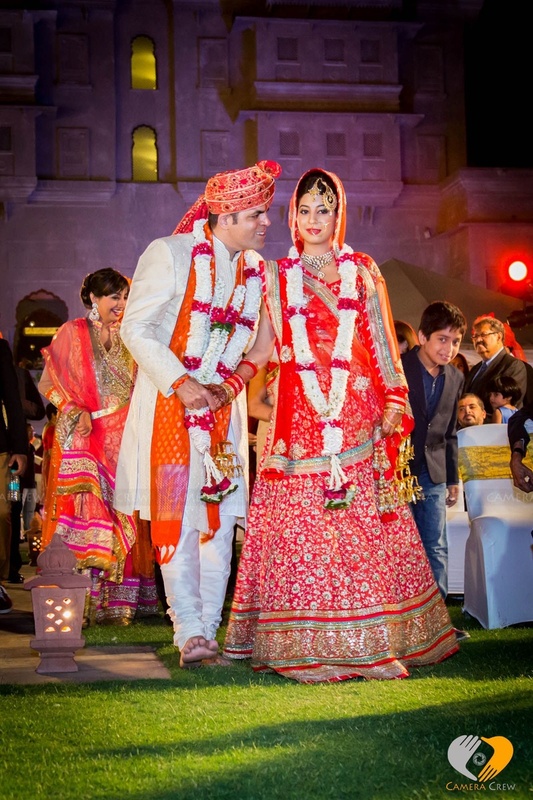 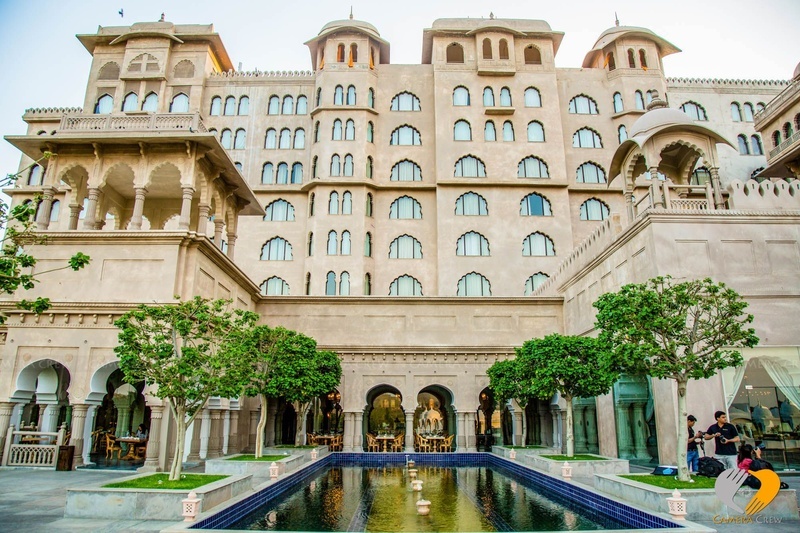 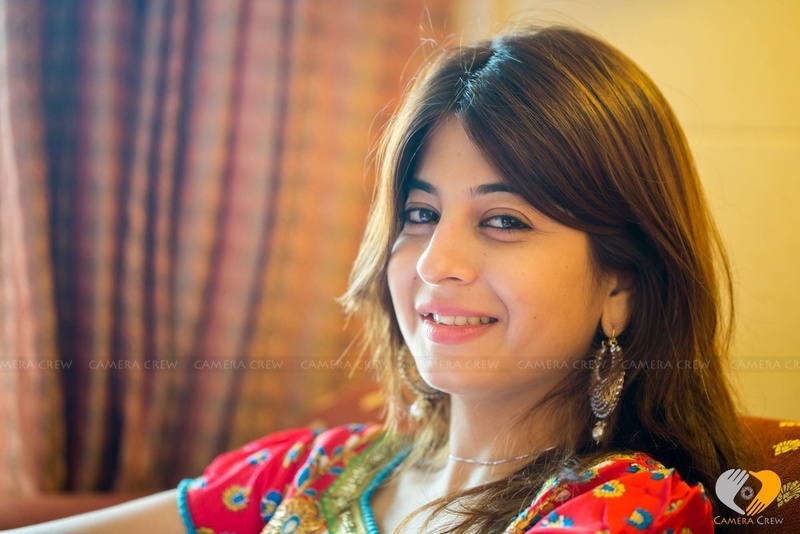 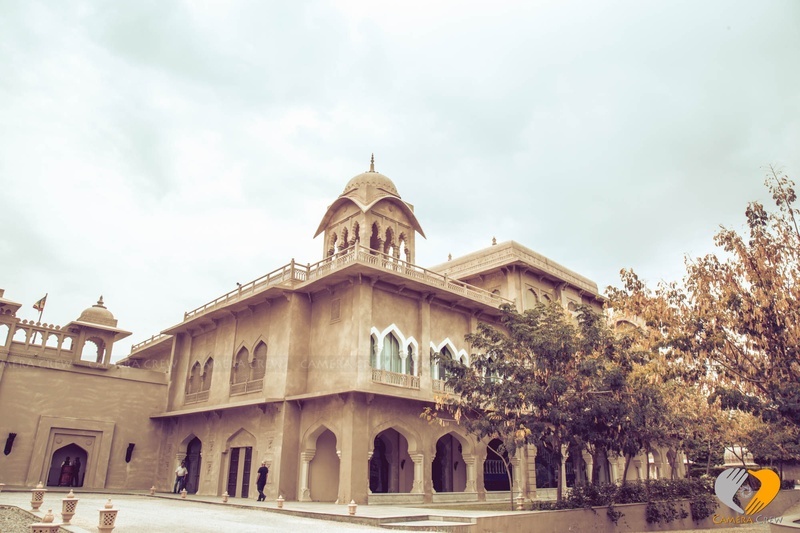 Hosted in the Pink City Jaipur’s palatial Fairmont Hotel, the venue made a statement in itself. 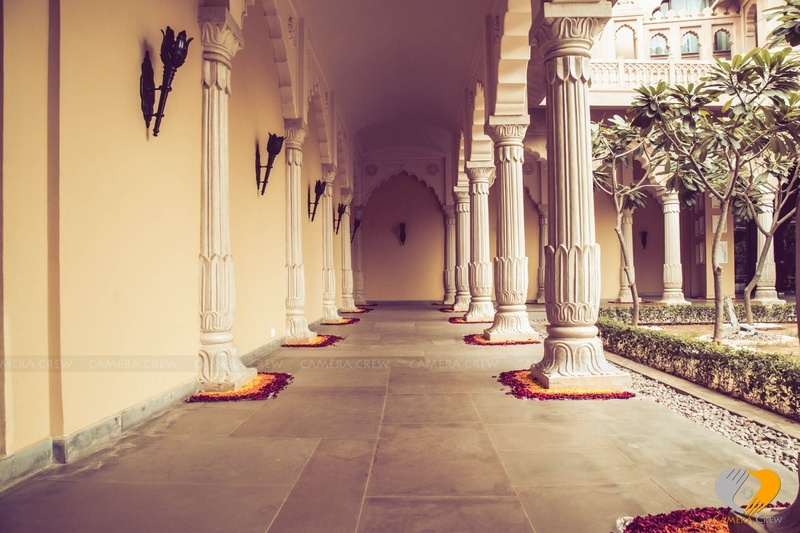 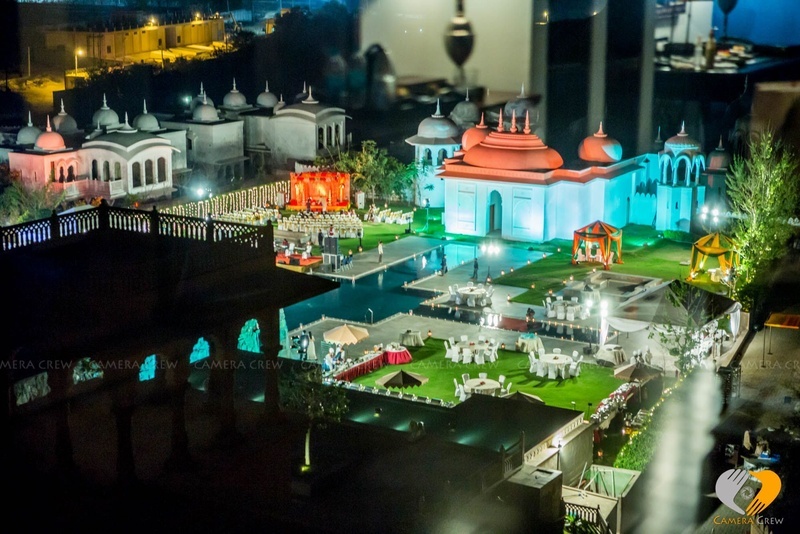 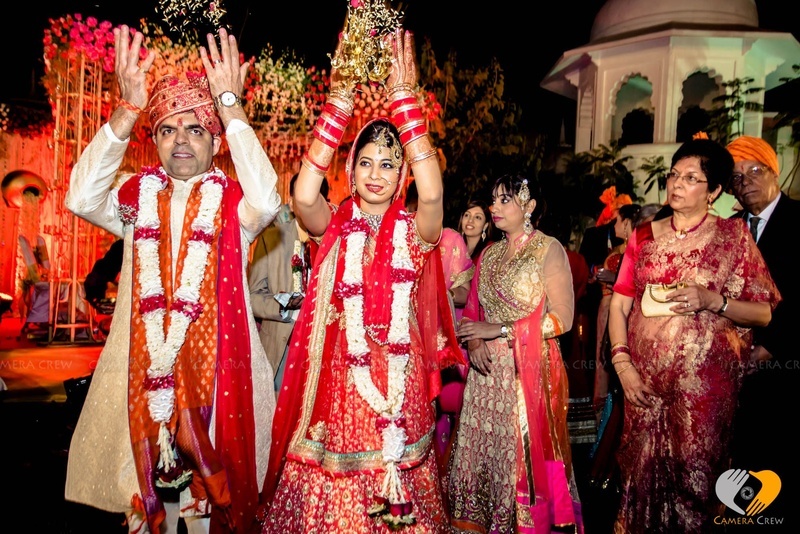 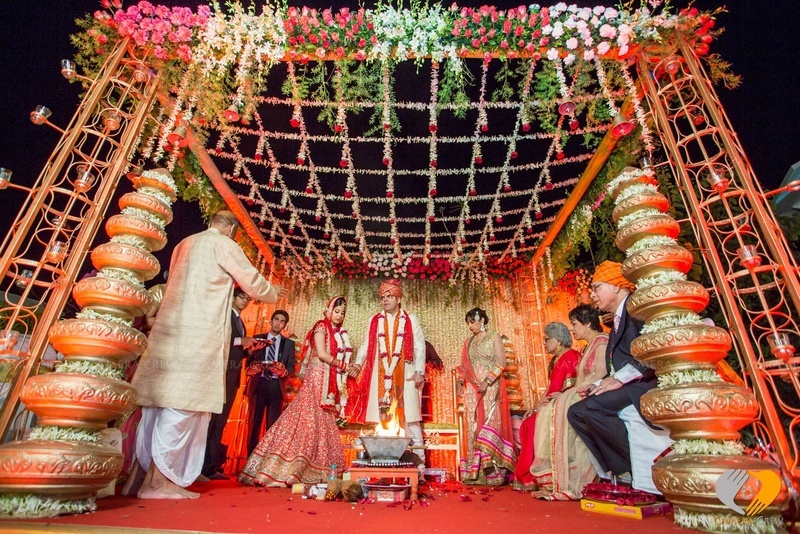 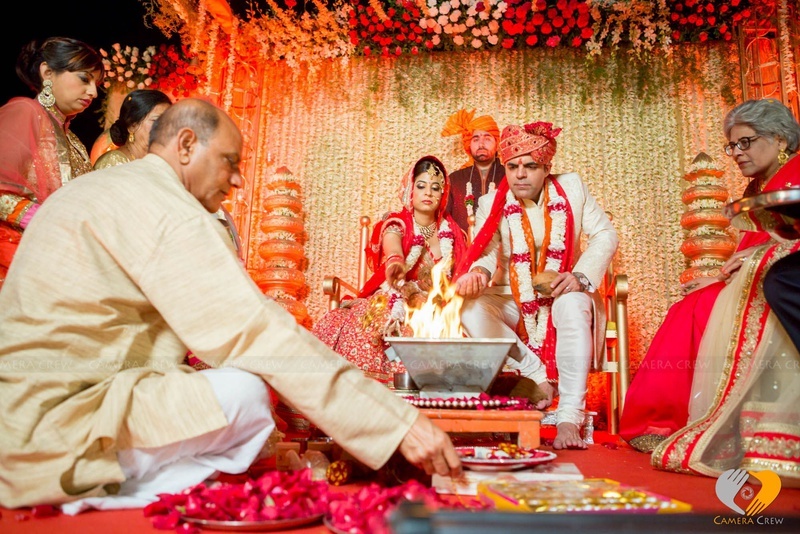 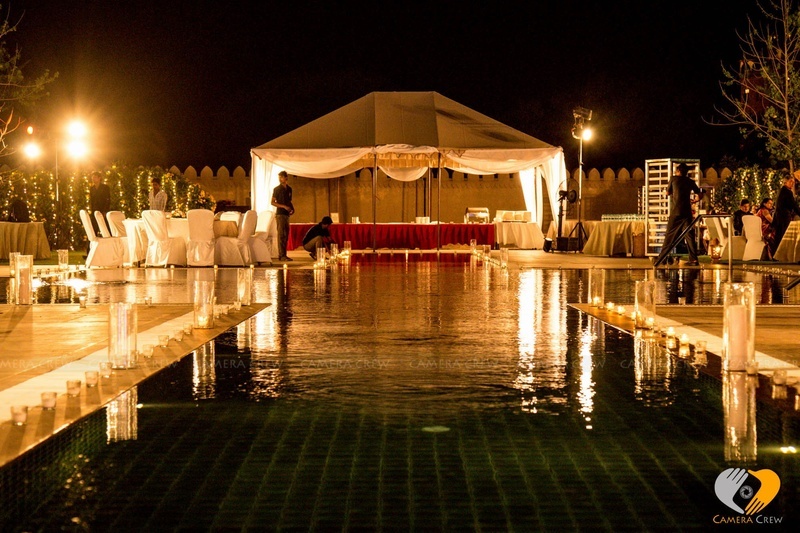 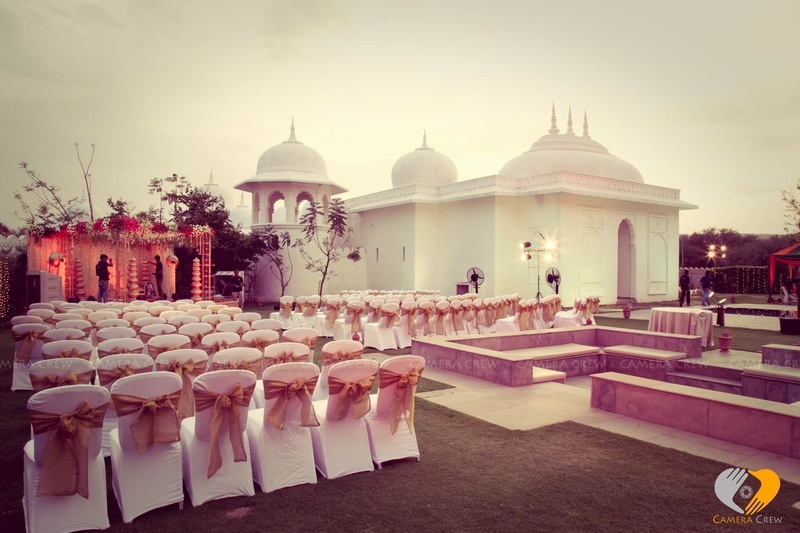 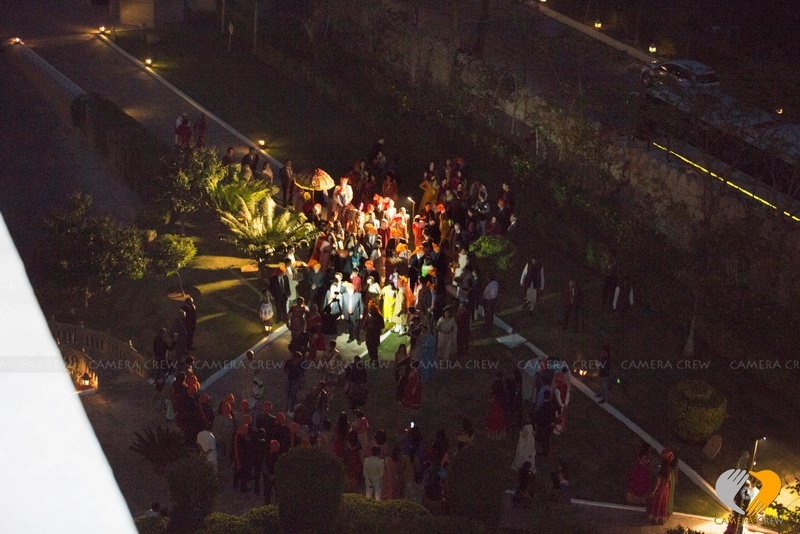 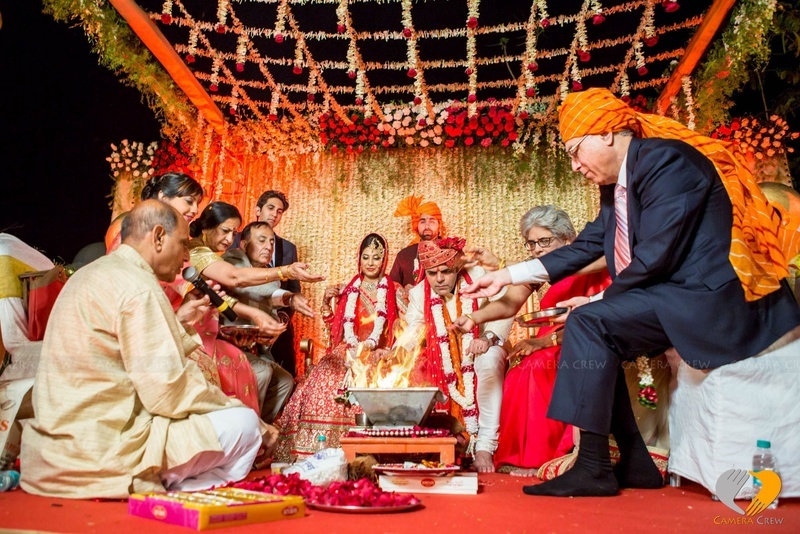 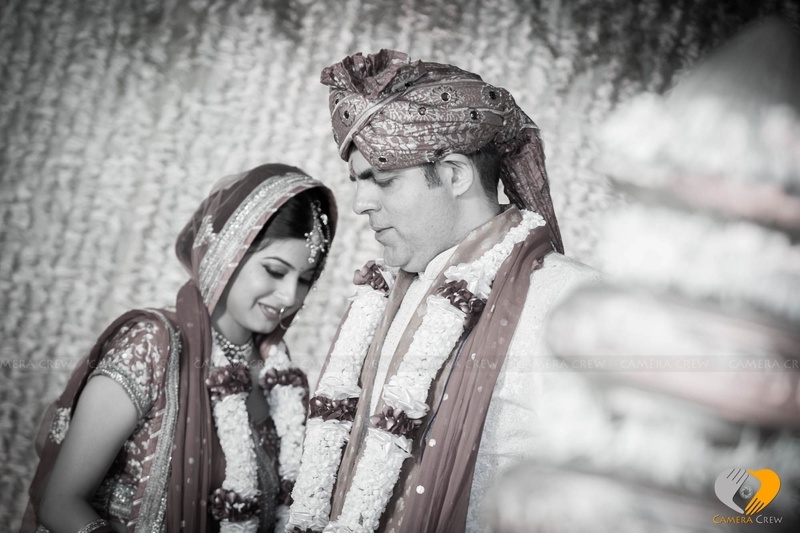 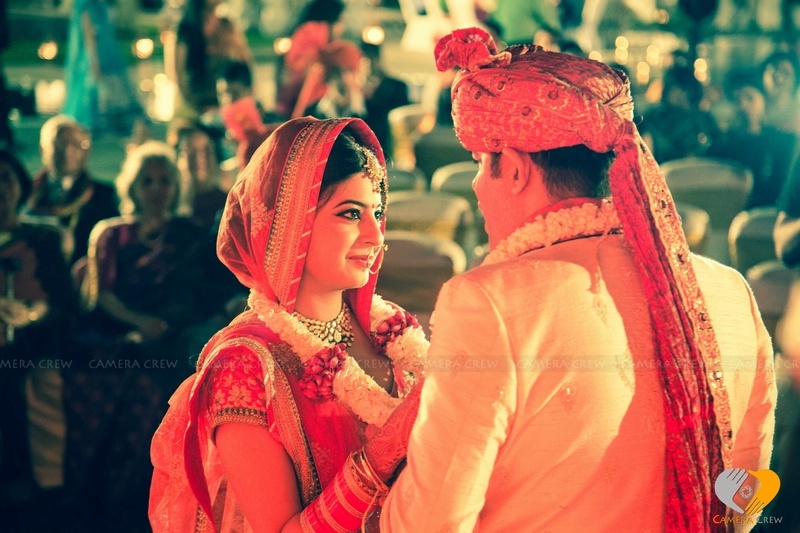 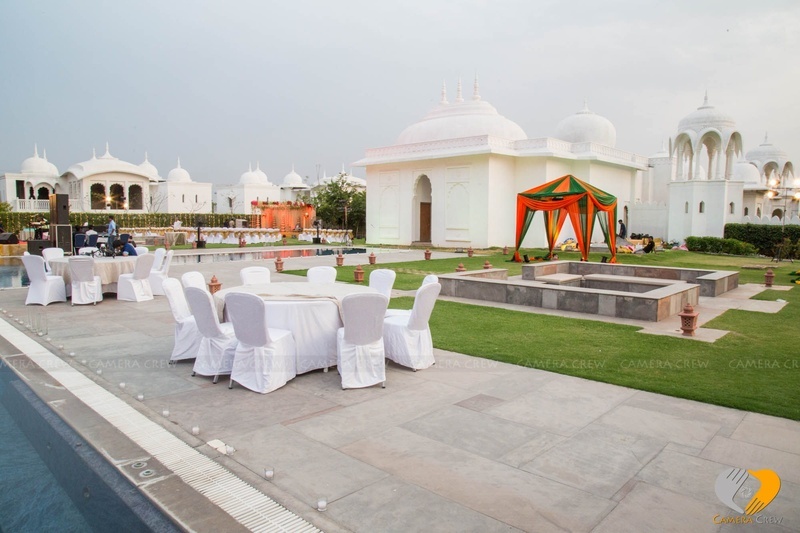 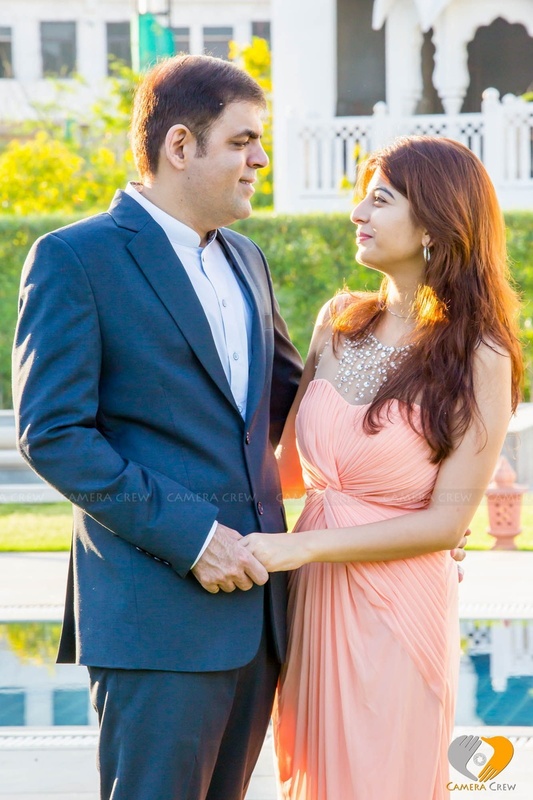 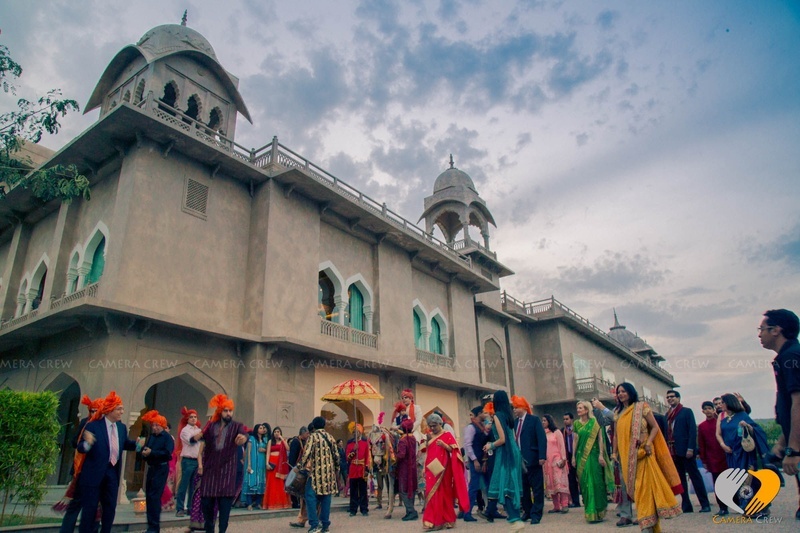 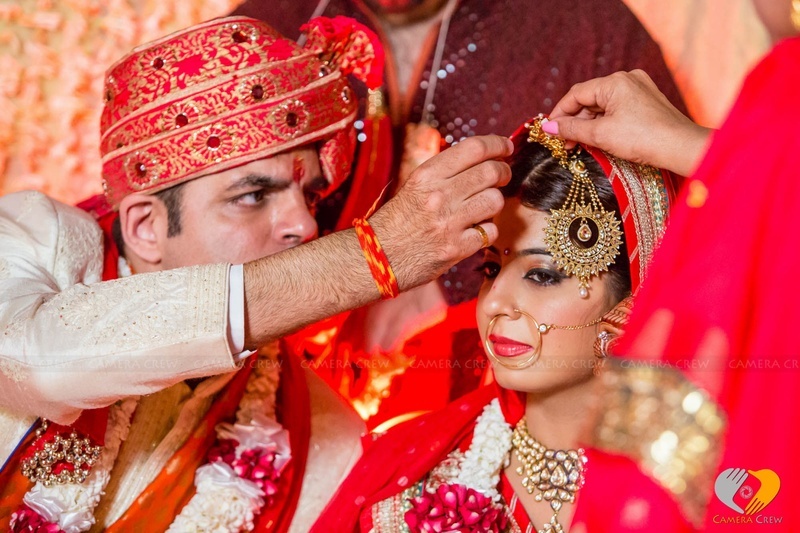 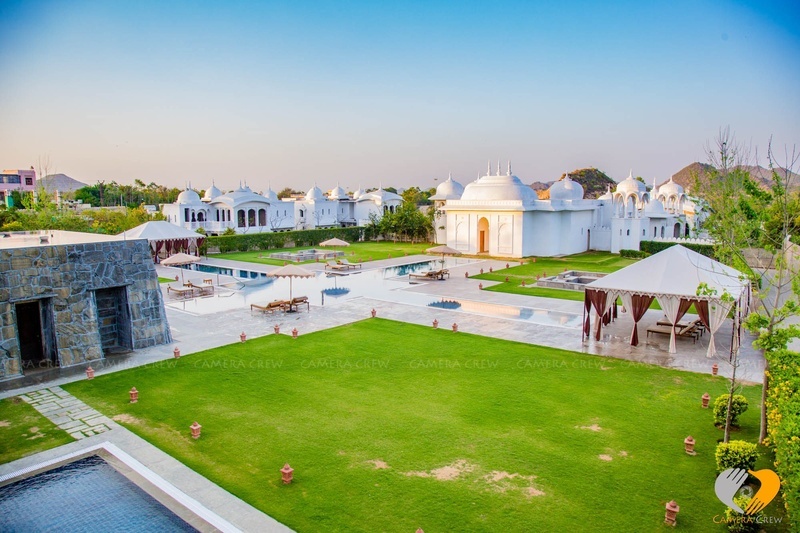 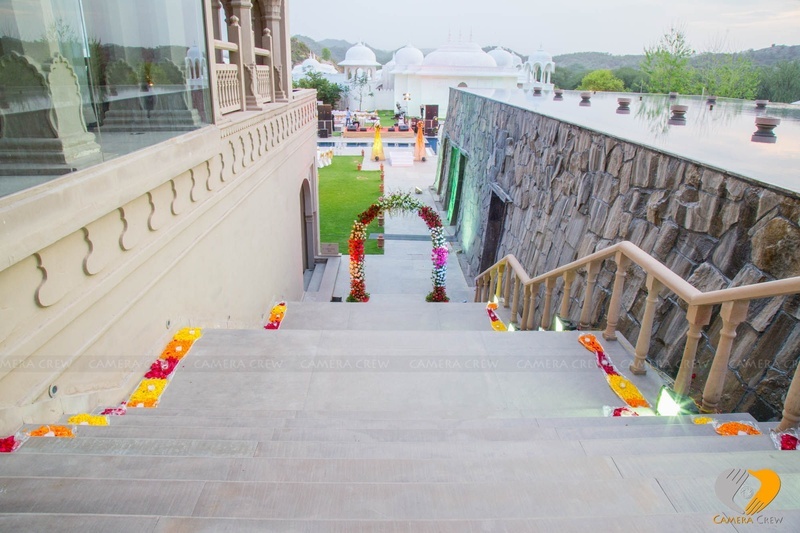 The couple exchanged garlands in the center of the luxurious palace with a picturesque surrounding and a lovely pool beside the mandap. 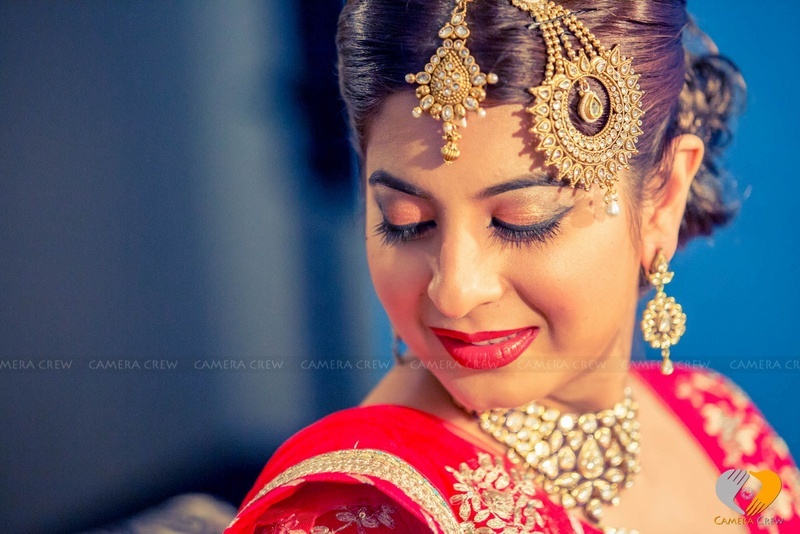 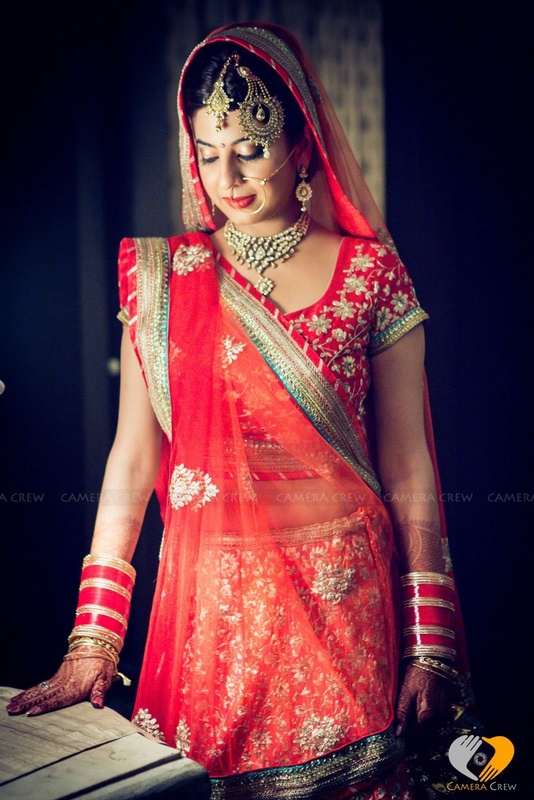 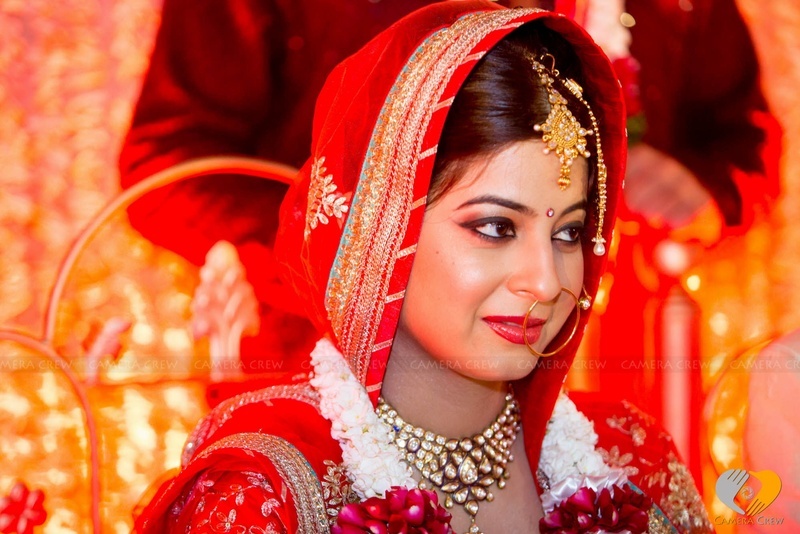 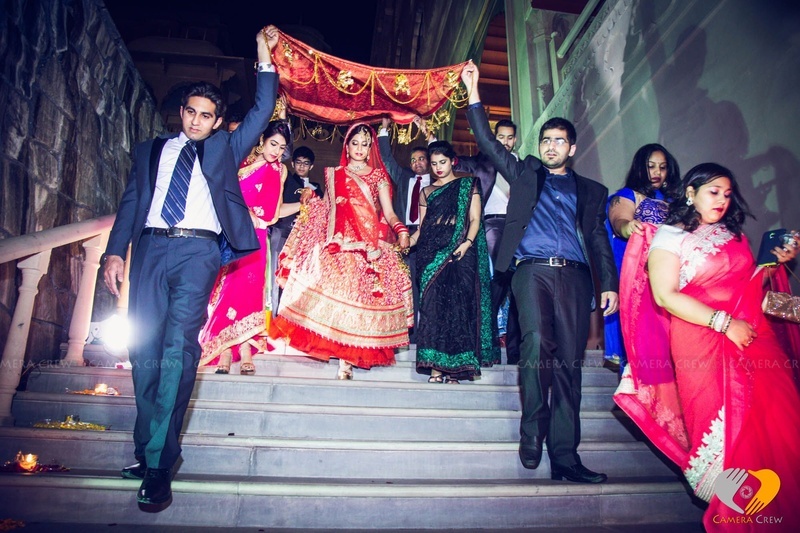 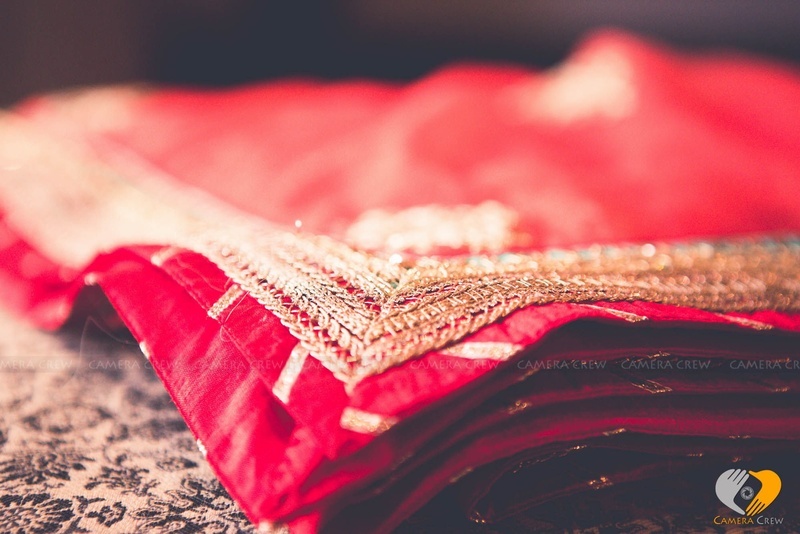 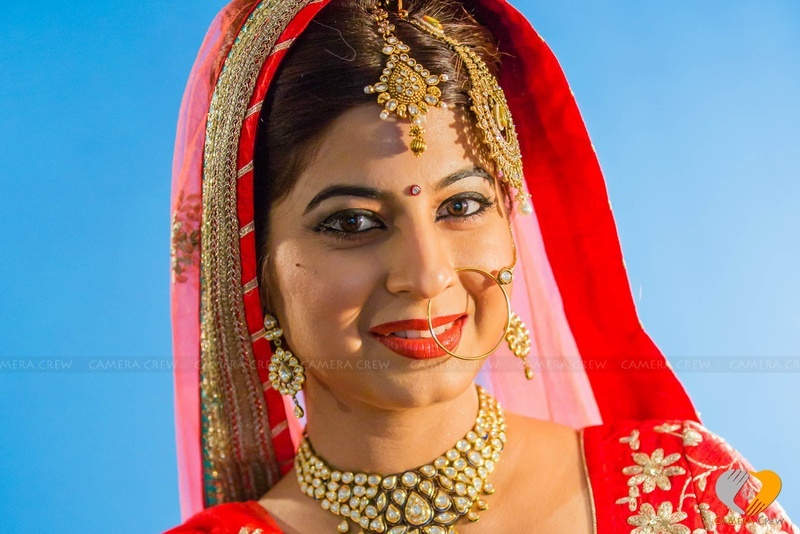 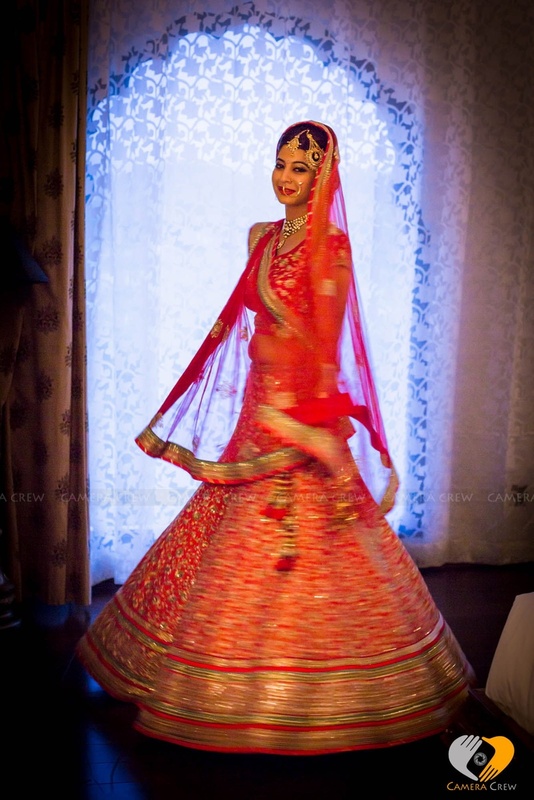 Wearing a red and gold voluminous lehenga, Deeksha descends down the floral decorated stairwell with a cloth over her head. 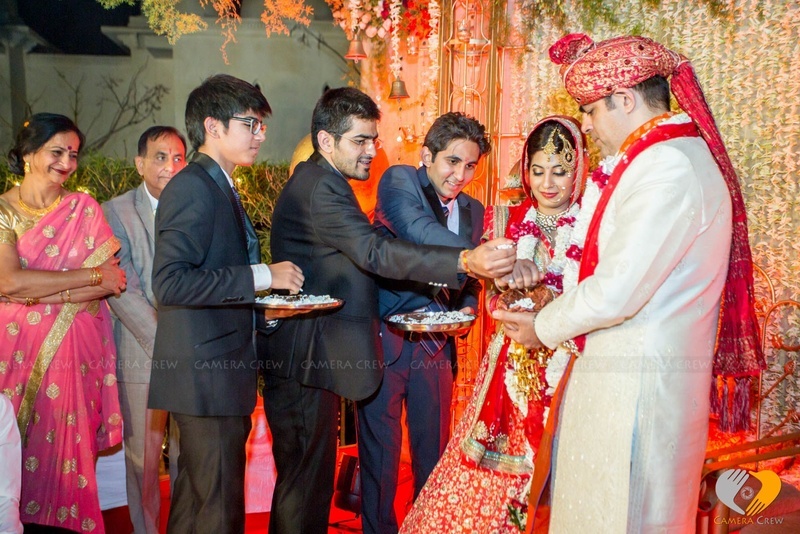 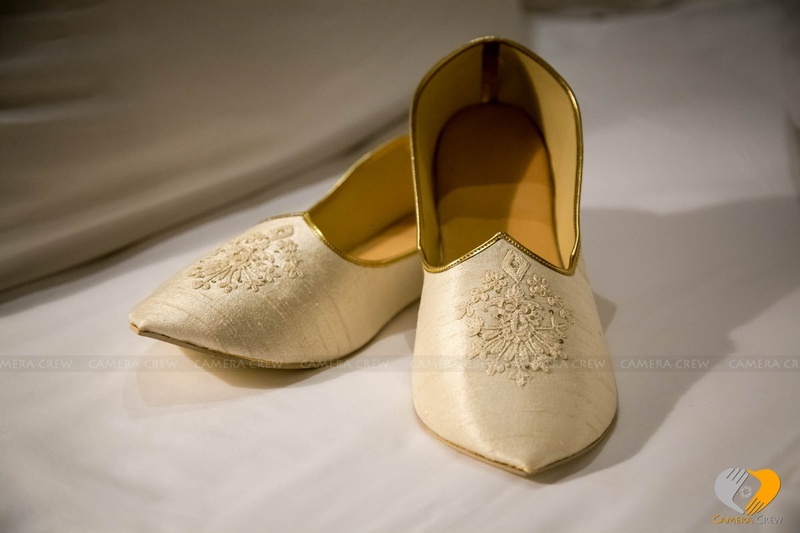 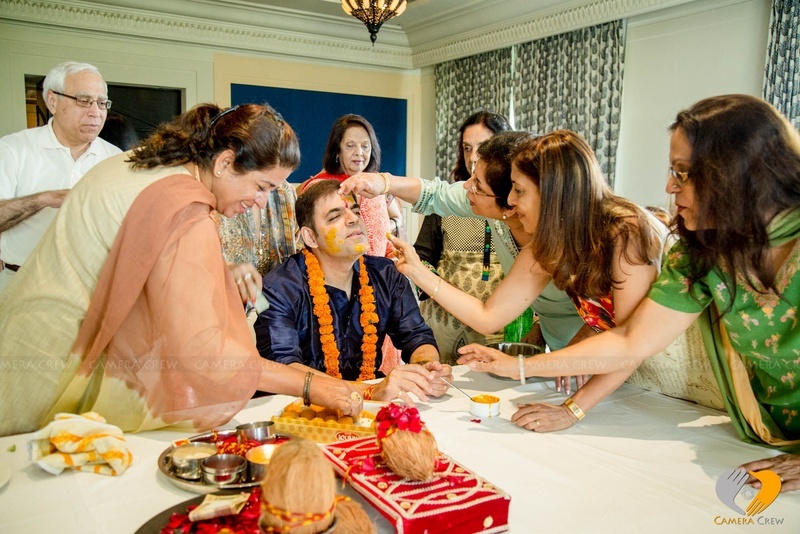 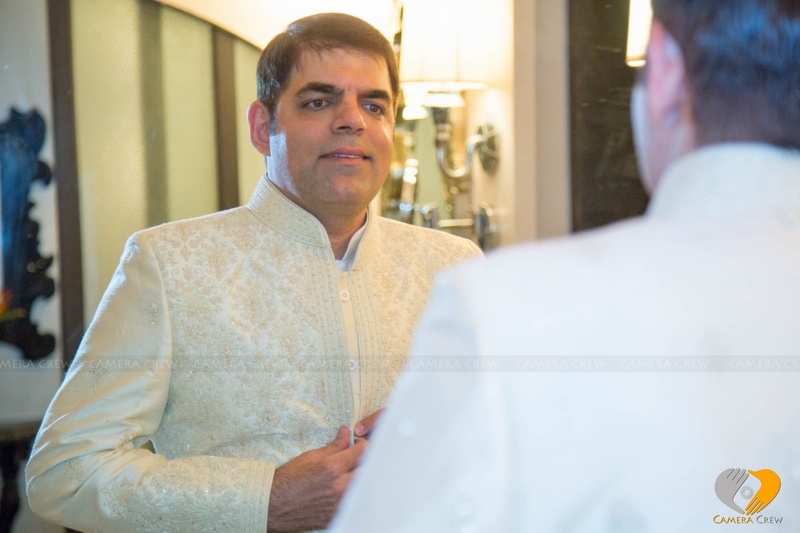 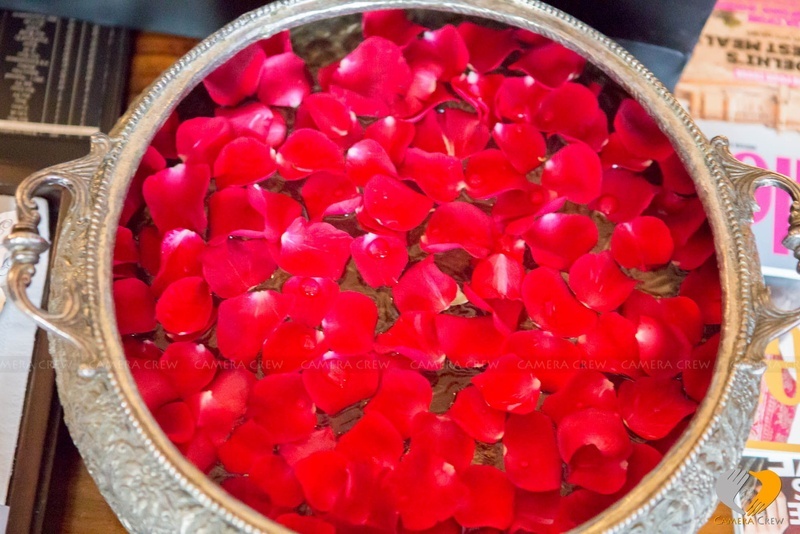 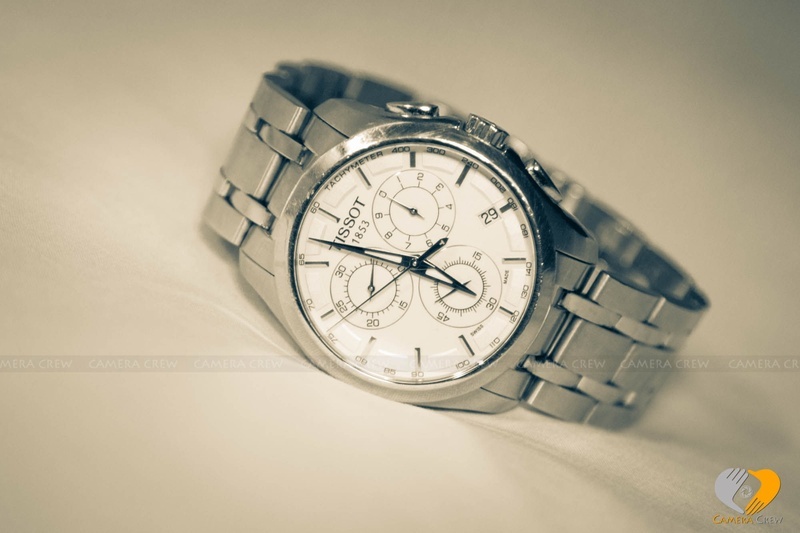 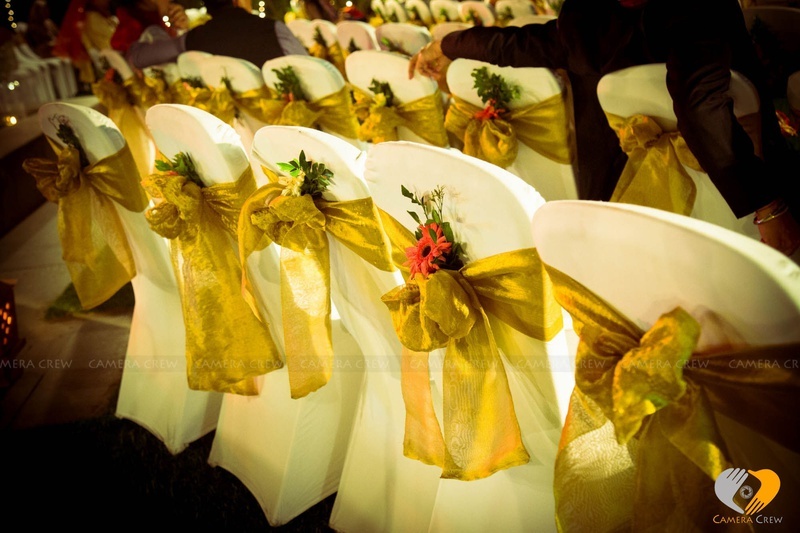 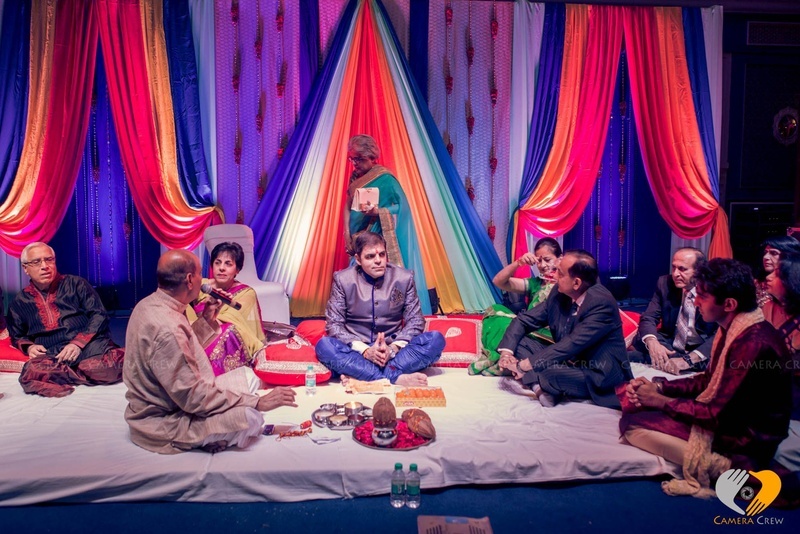 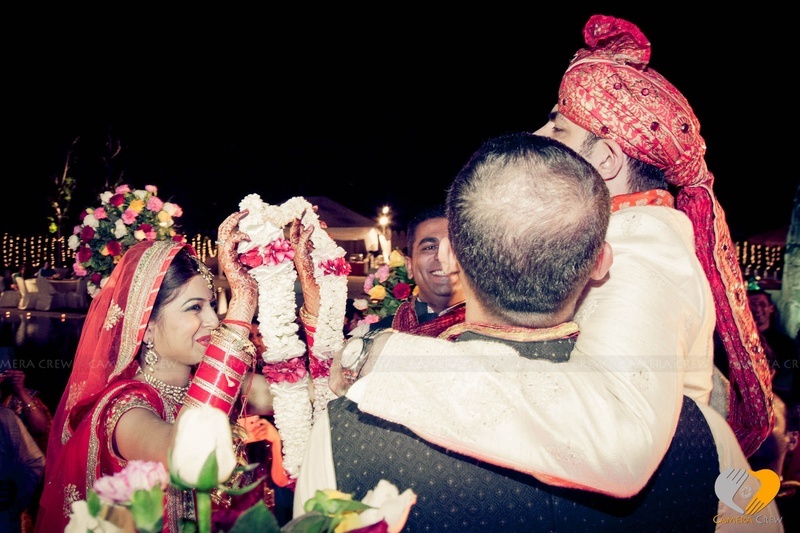 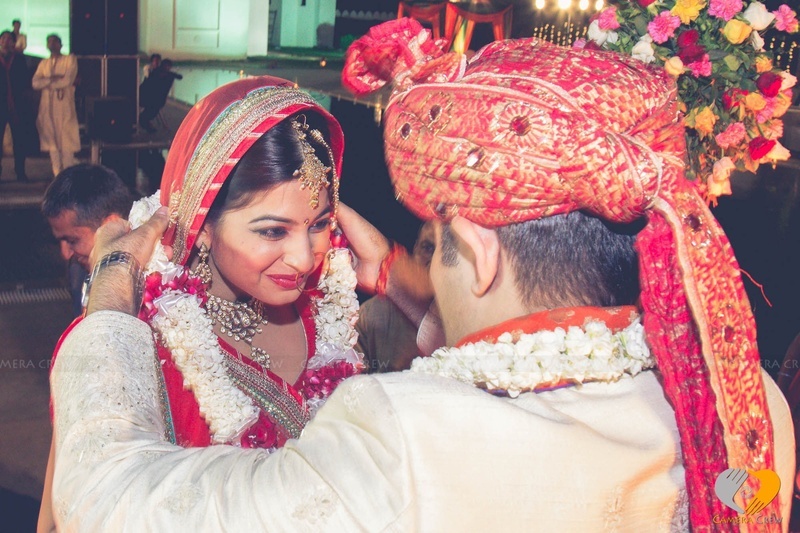 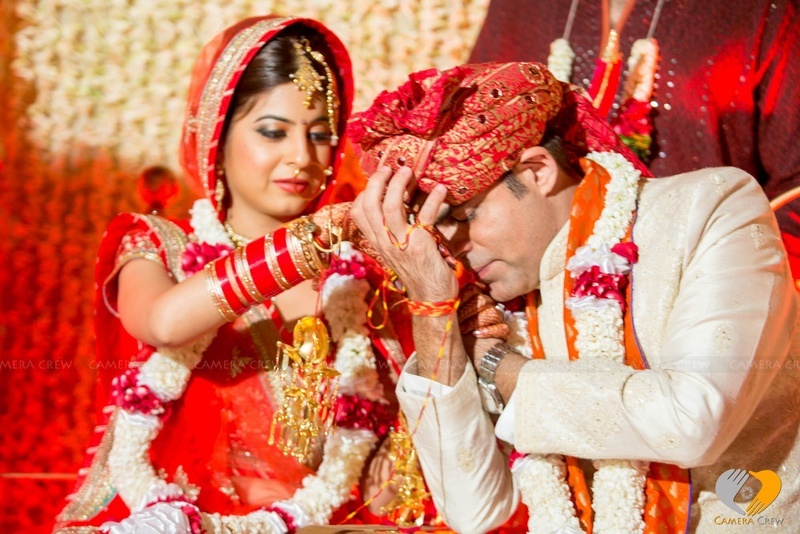 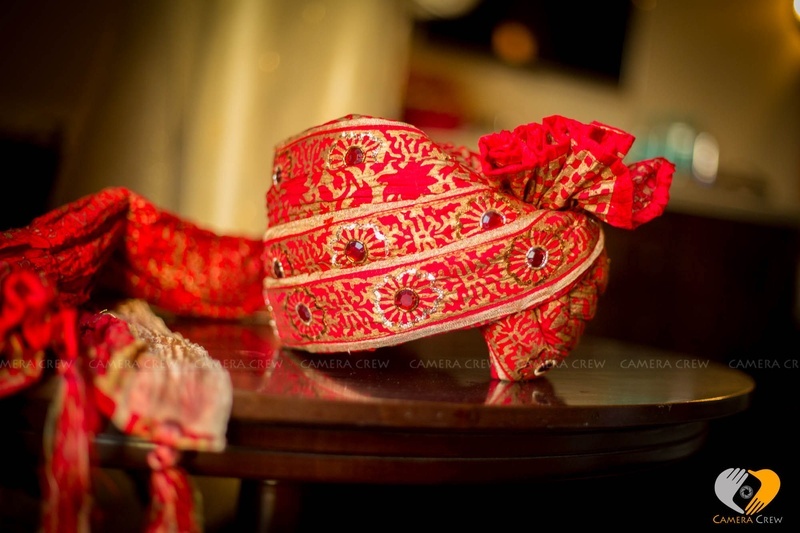 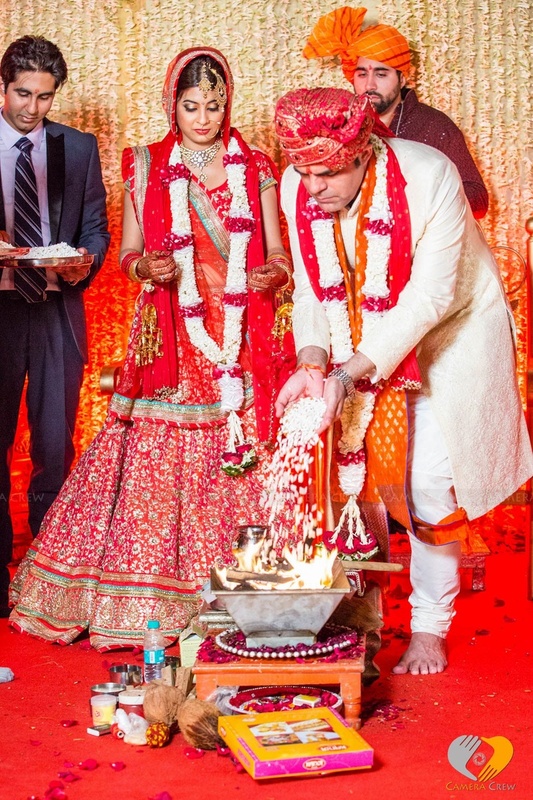 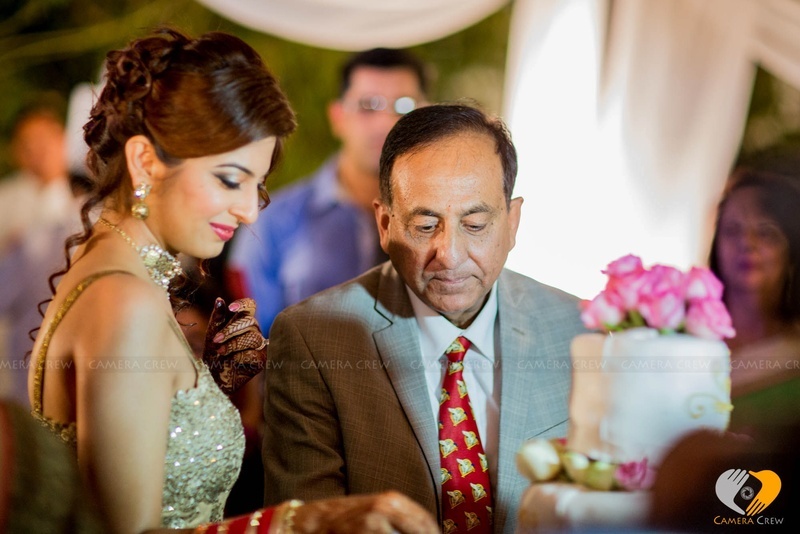 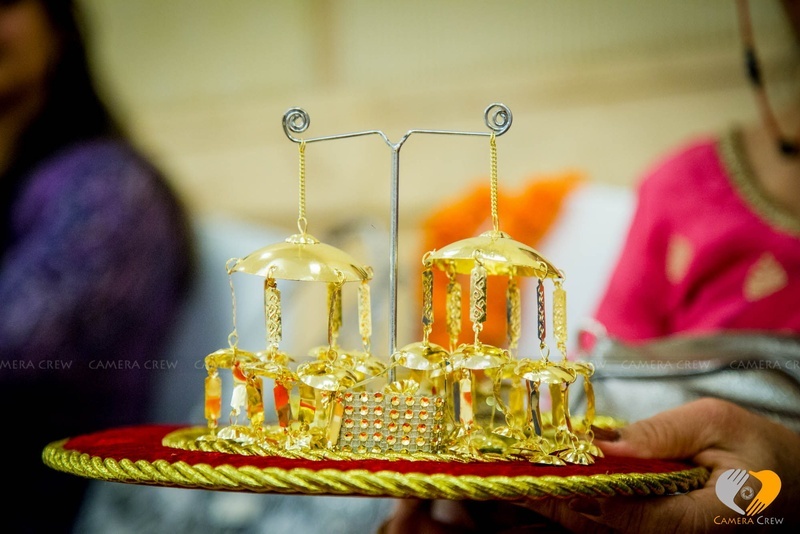 Nikhil waited on the other side with a cream shervani and a perfectly tied safa. 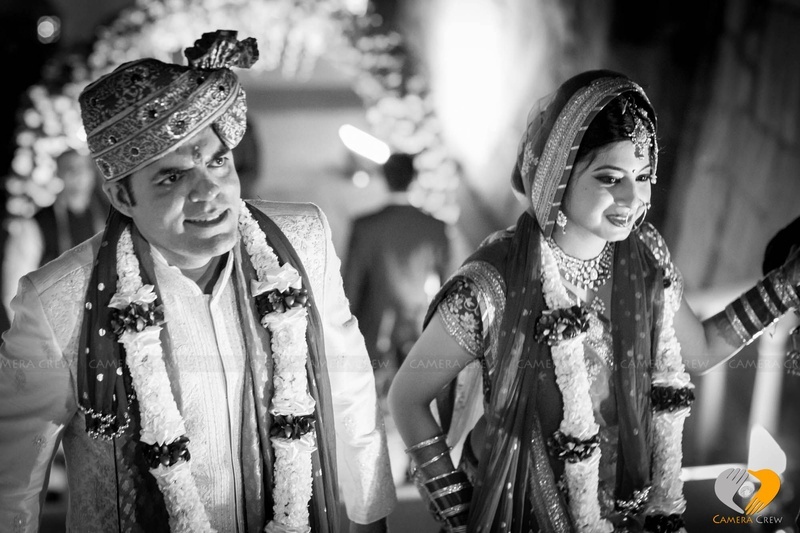 Their wedding mandap had a floral roof, earthen multi-layered pots and prominent glass diyas nestled beautifully inside the pillars. 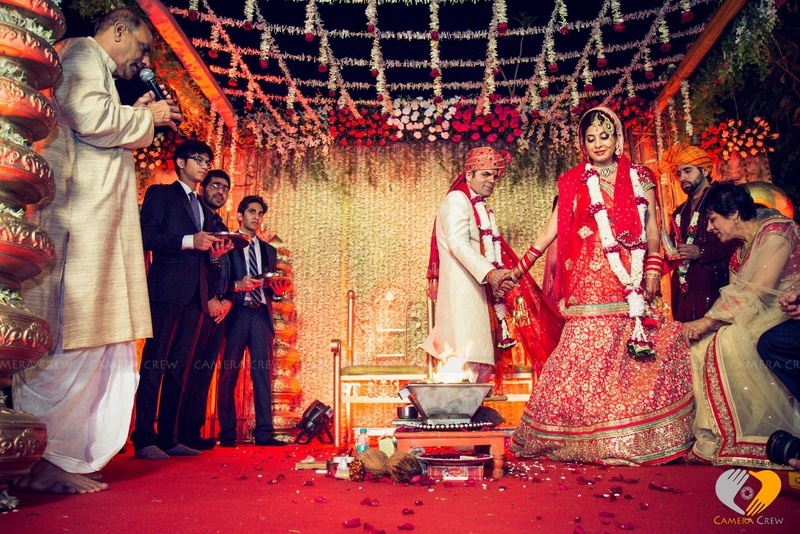 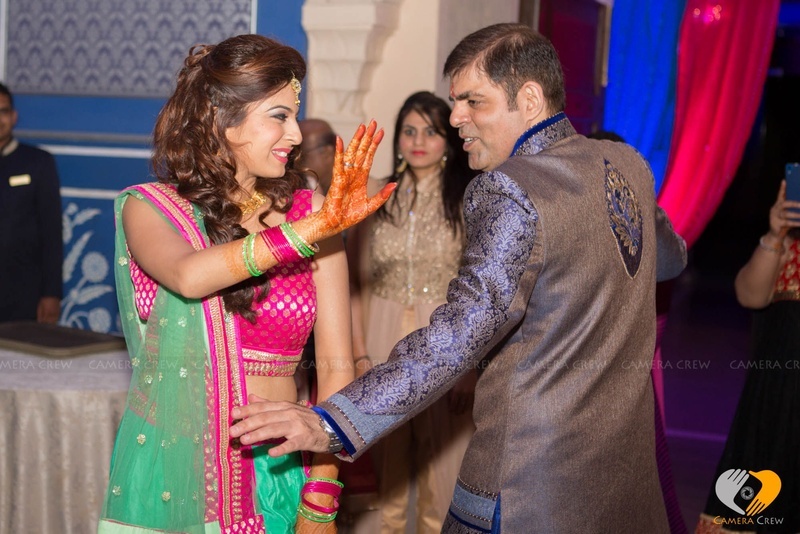 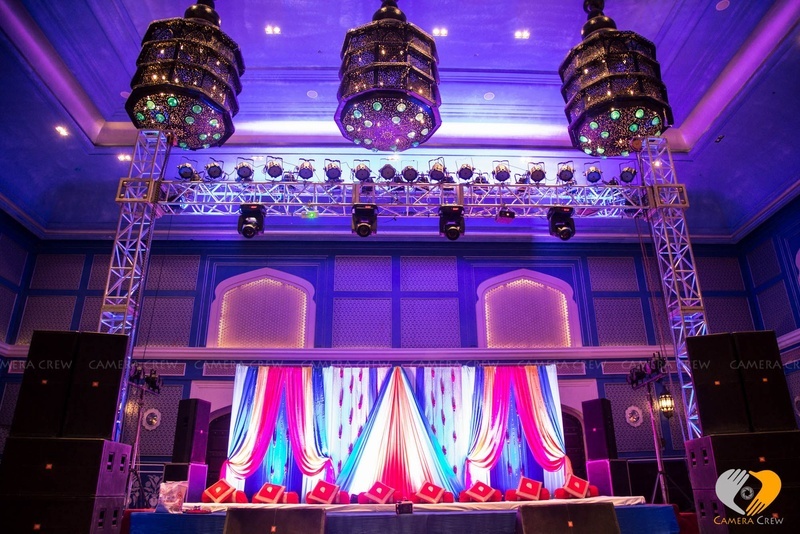 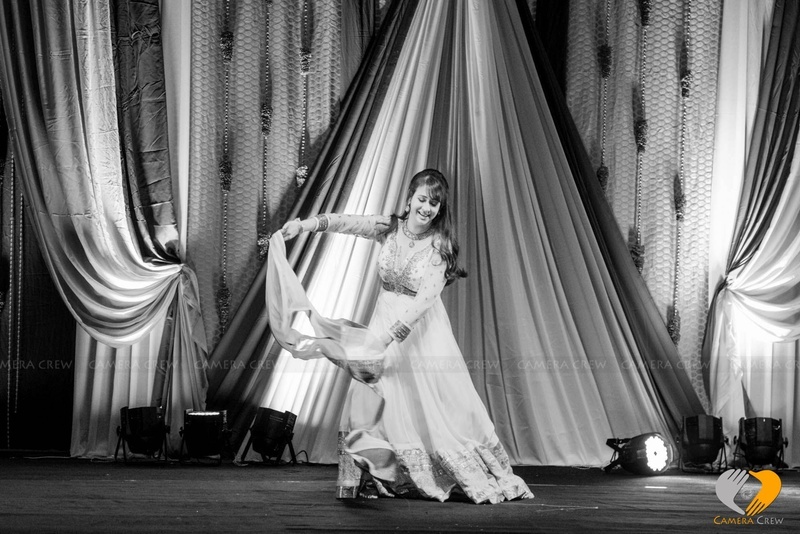 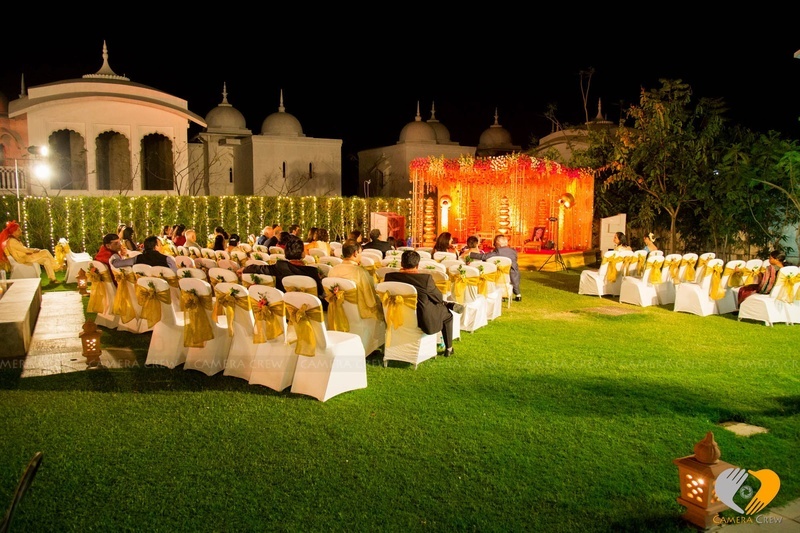 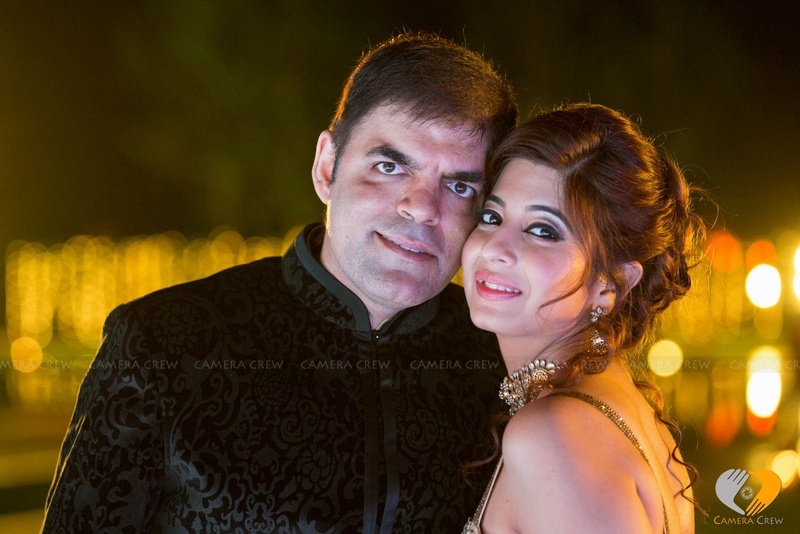 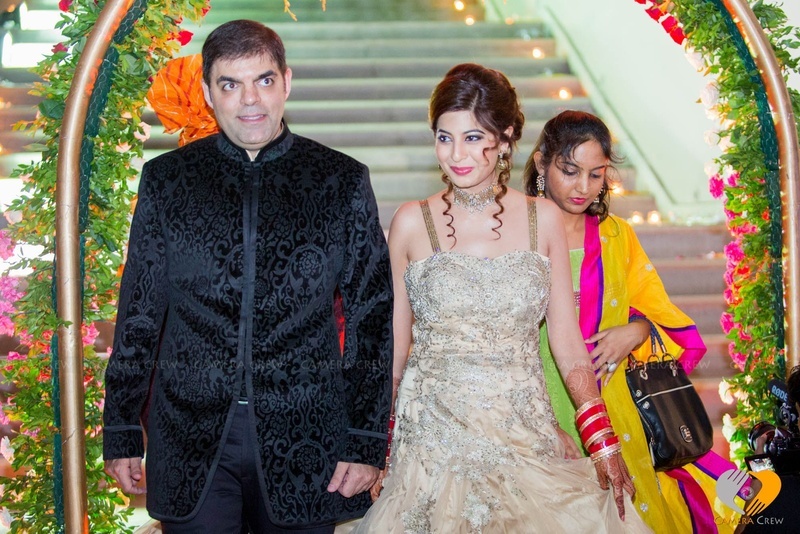 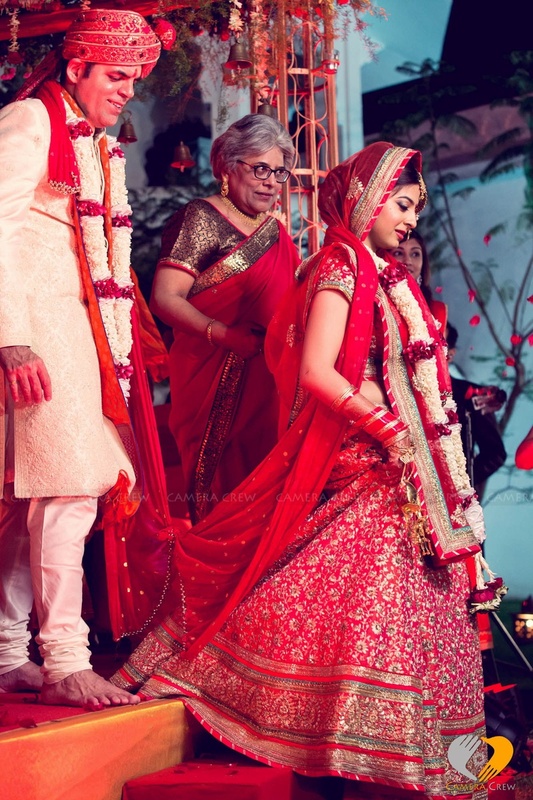 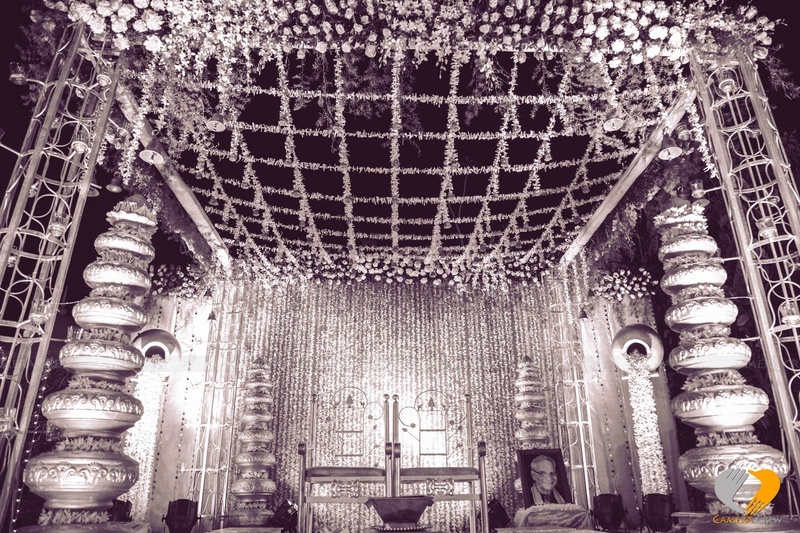 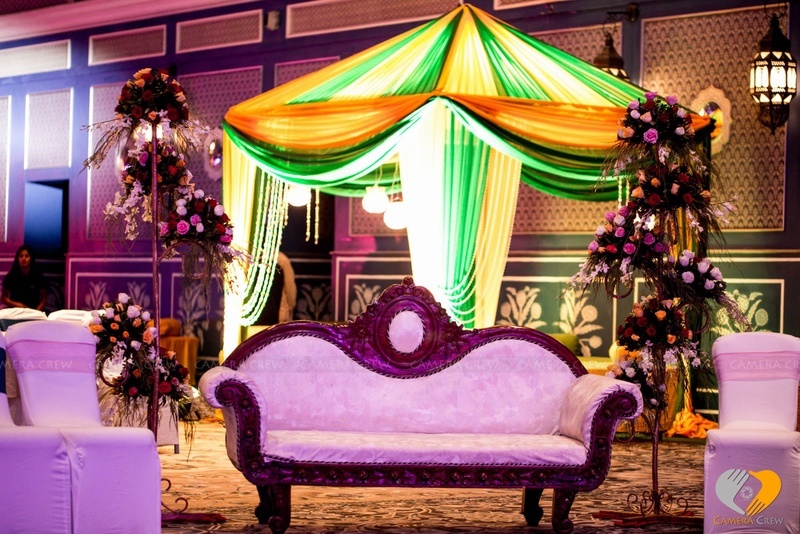 The sangeet ceremony was held indoors and had breath-taking decor. 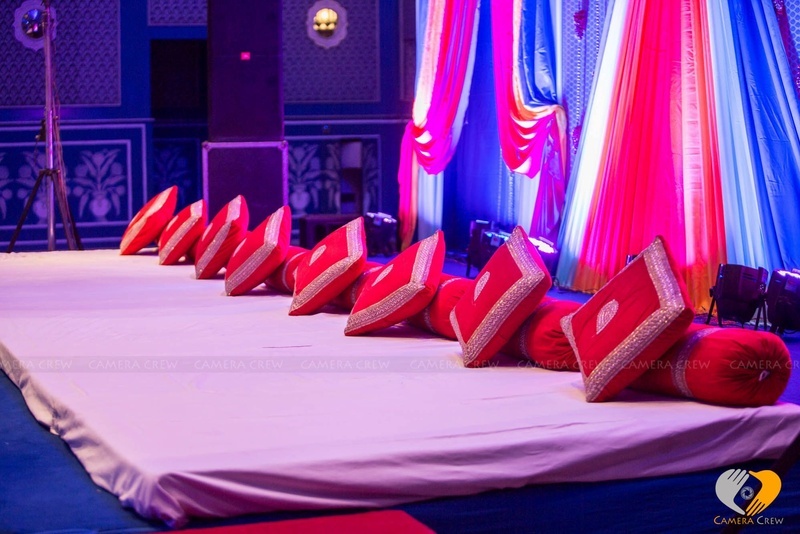 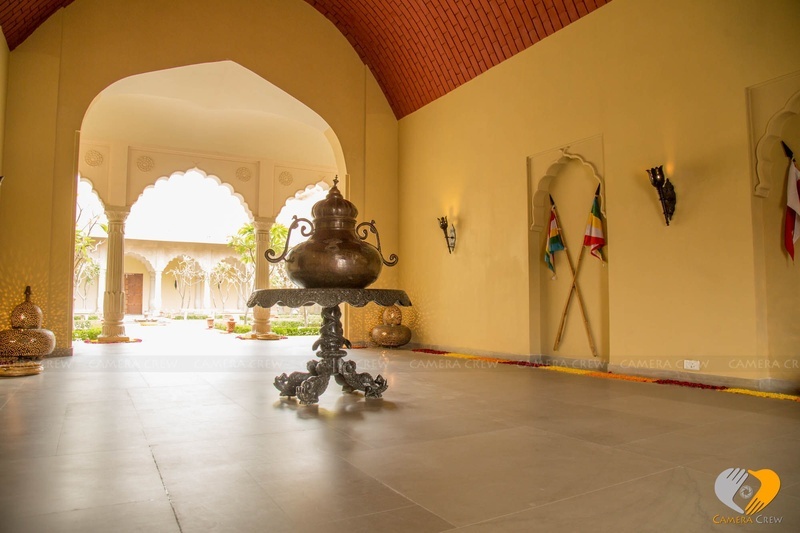 The exquisite and exclusive Mughal-like seating arrangements had shamiyanas that had dedicated hookah pots for the guests. 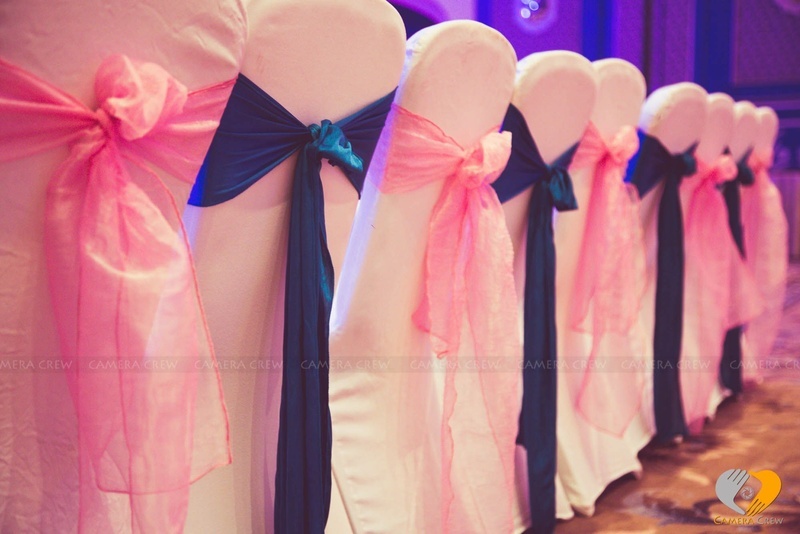 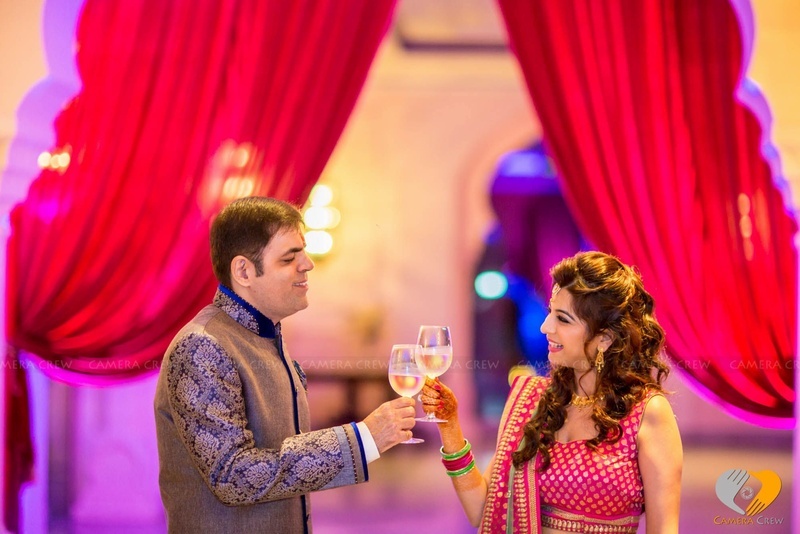 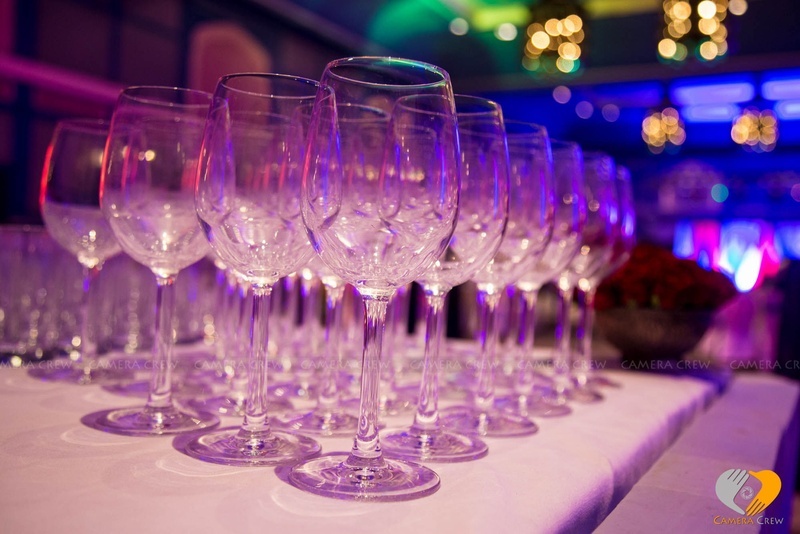 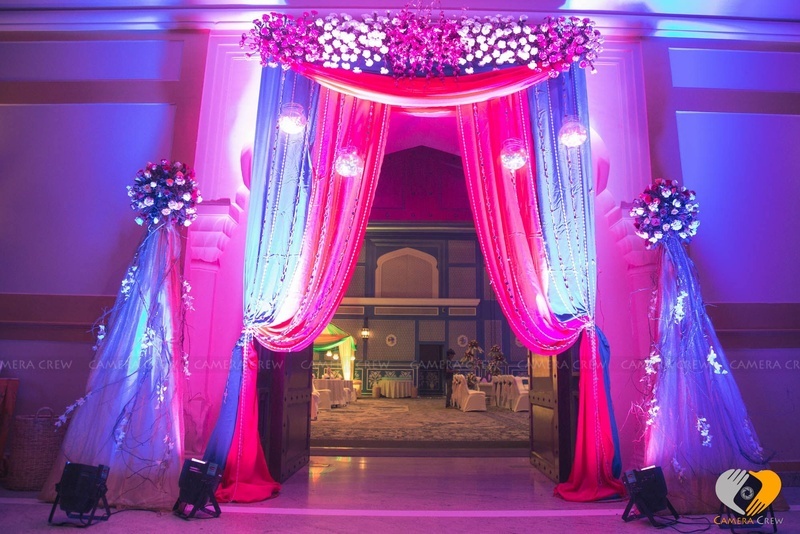 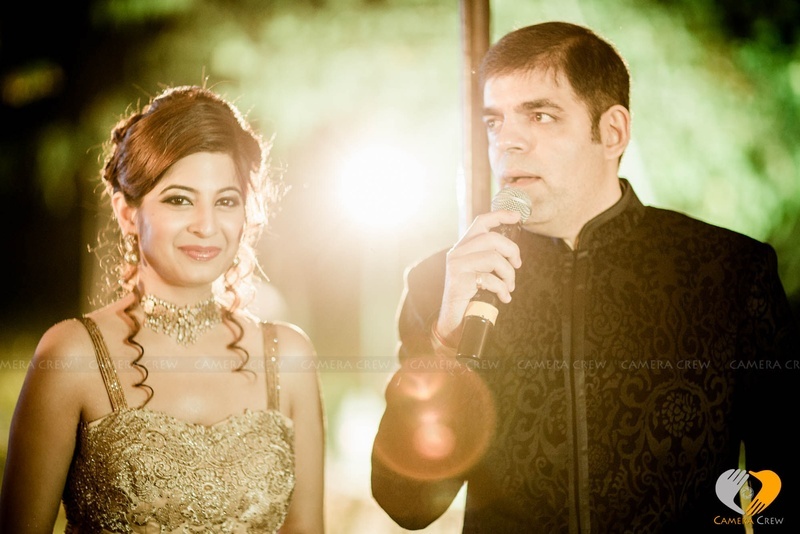 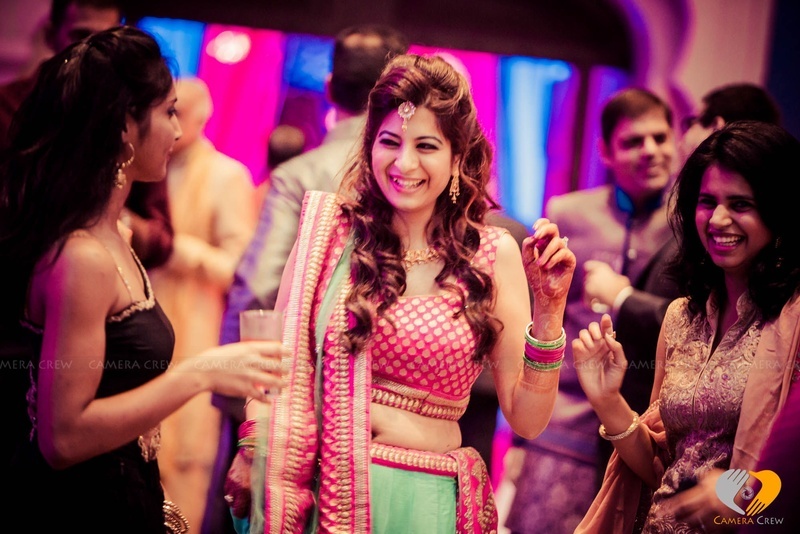 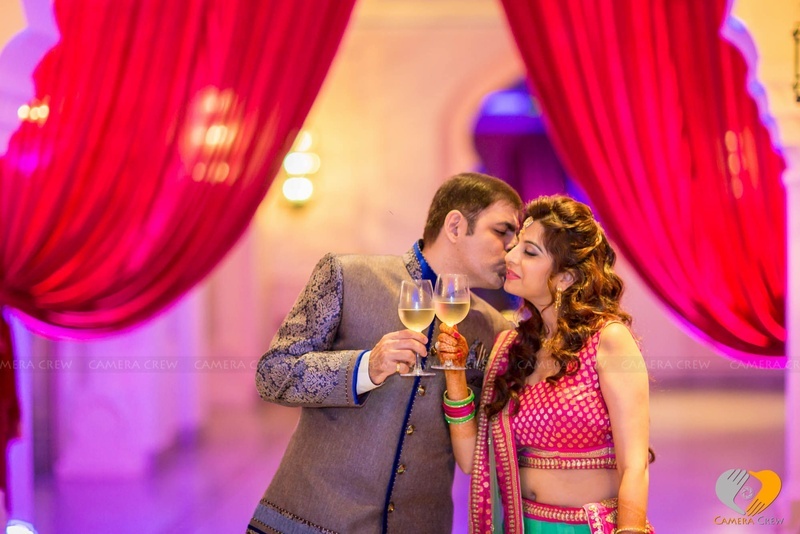 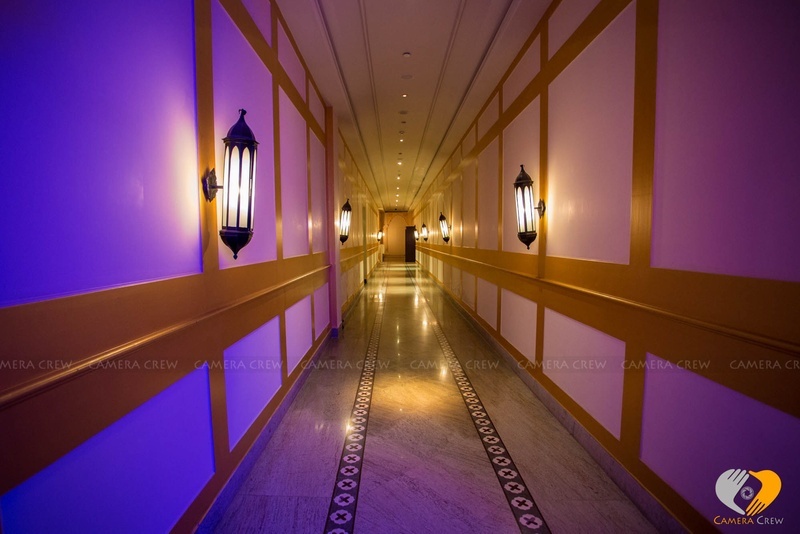 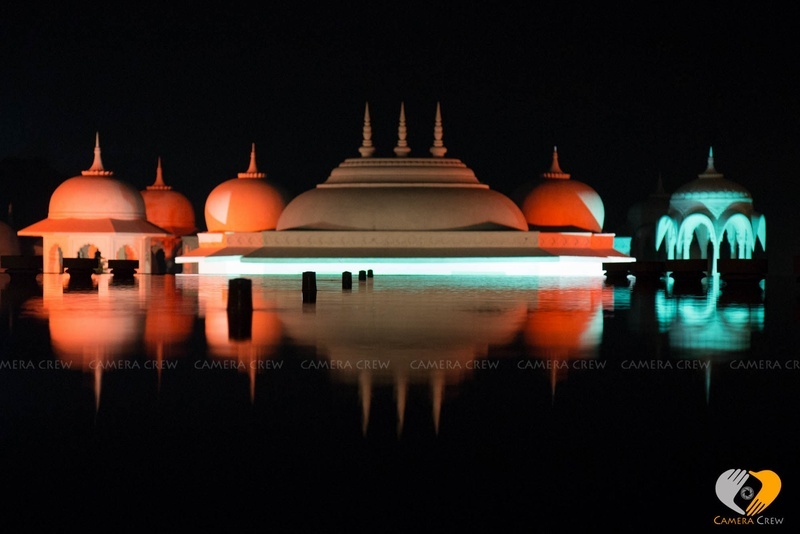 The blue and pink lights gave the entire atmosphere a complete regal and elegant feel. 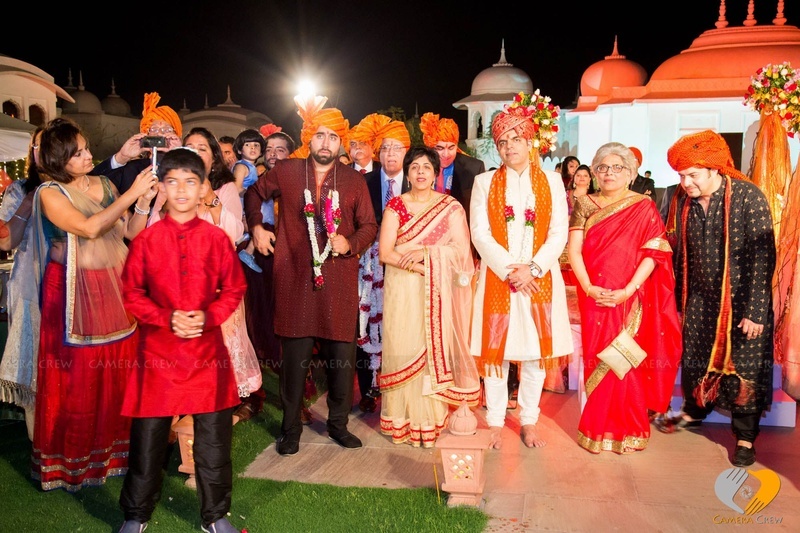 Every image at this grand wedding taken by Camera Crew who did a splendid job in capturing every emotion and every moment just perfectly. 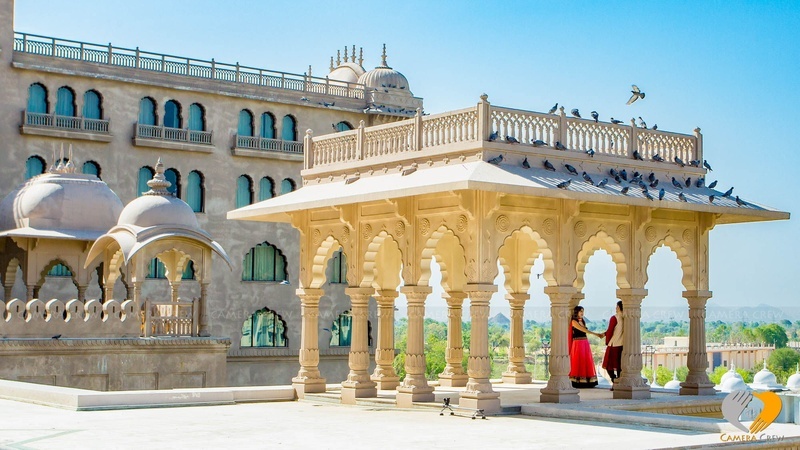 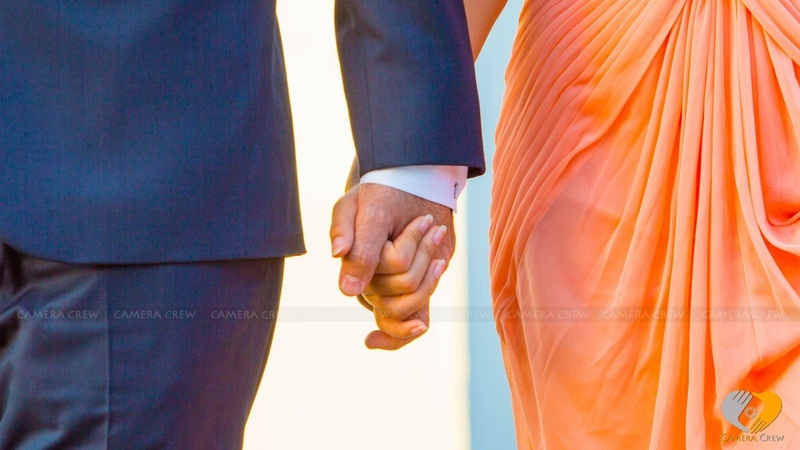 Their wedding photographs will definitely take you to a different world. 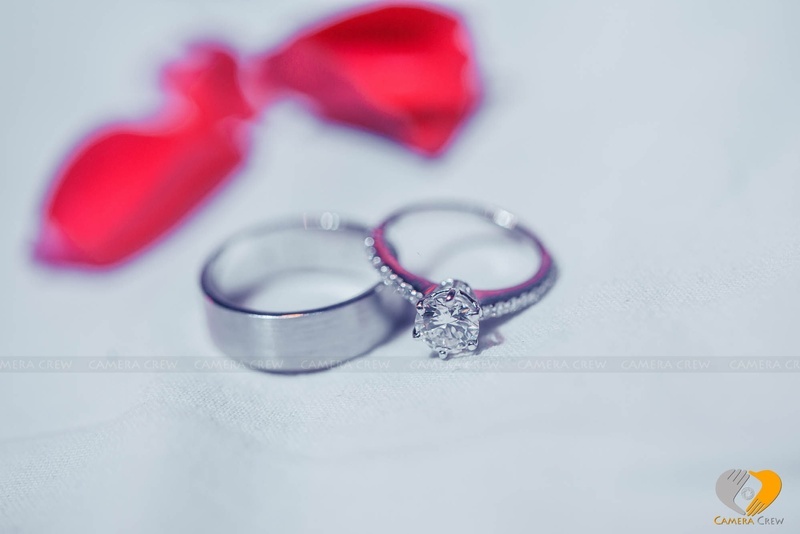 Let’s take a look right here!